This is Dare's astronomy page. Over the years, I have progressed in my ability to take presentable astronomy-related photos -- from simple images directly 'out of the camera', to more recent experiments using 'stacking' and 'image enhancement' to bring out fine details that the optics cannot do on their own. I hope you enjoy seeing them as much as I did in creating them! 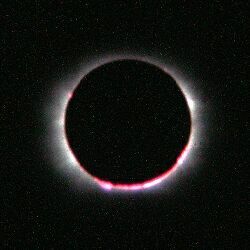 August 21, 2017 was a bit day for North Americans: a total solar eclipse coast-to-coast in parts of the USA, and a partial solar eclipse in Canada! 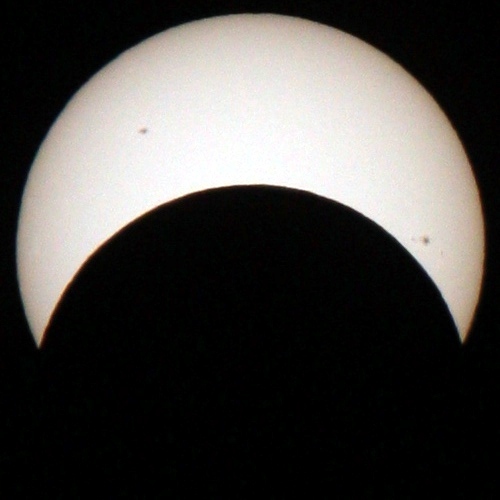 The closest point to me to see the full eclipse would have been approximately 1100km south, and because of the time/expense/risk of traveling that far, I contented myself with remaining where I was and taking photos of the partial solar eclipse. What I had not counted on was poor weather! 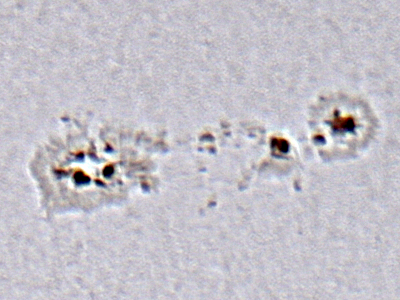 21 image stack @ F5.6, 1/1500s exposure, 800ISO, with 400mm Sigma prime lens. 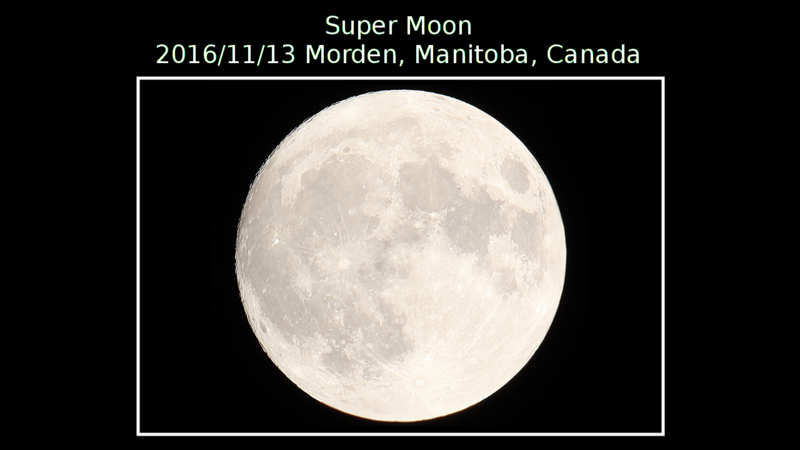 For the fun of it, I decided to snap the so-called "Hunter's Moon" of October in 2016, especially considering it was another "Super Moon". 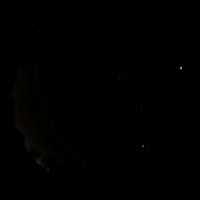 On the morning of October 15th, the Moon was very low and near the horizon when I grabbed it -- it was dramatically 'yellow' and distorted (squashed vertically). 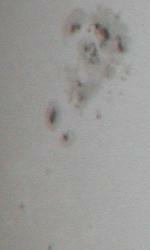 The next morning, October 16th, it was higher in the sky and more of a natural 'white' color. Both images taken with a Sigma 400mm prime lens @ F/5.6. 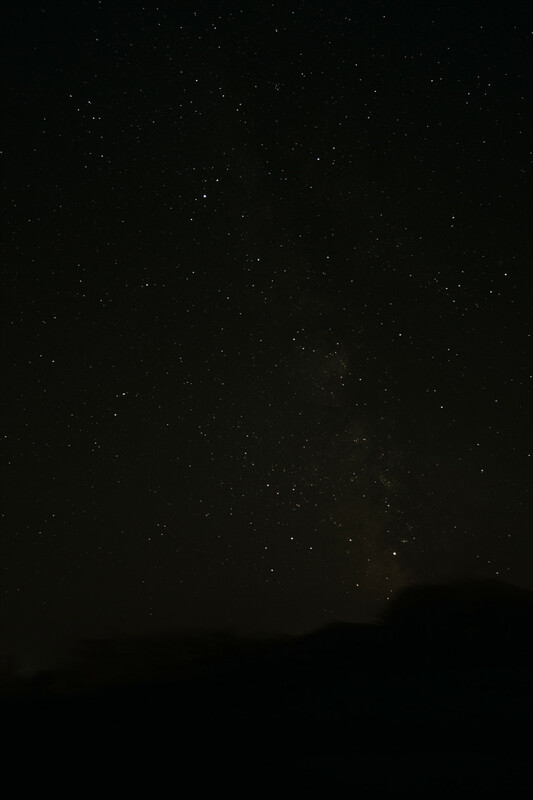 Having had very little opportunity to do astronomy in 2016, I took advantage of a moonless night in early October to use my 'new' used Rokinon 14mm F/2.8 lens (known for its clarity 'wide open') to grab some tripod-only wide-angle shots of the sky around my home. 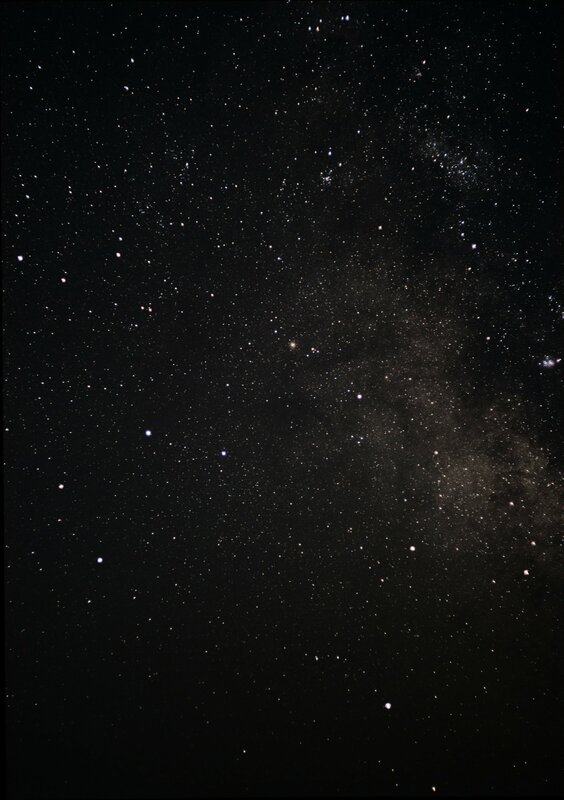 Even 20s at 800 ISO was enough for some star drift. 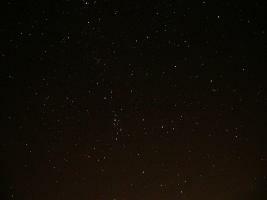 It was very tricky to achieve focus (as with all wide-angle lenses). I used Astrometry.net's code to label the objects in the images. Canon T2i/550D. 180s @ISO800 with iOptron R80 400mm f/5 achromatic refractor scope. 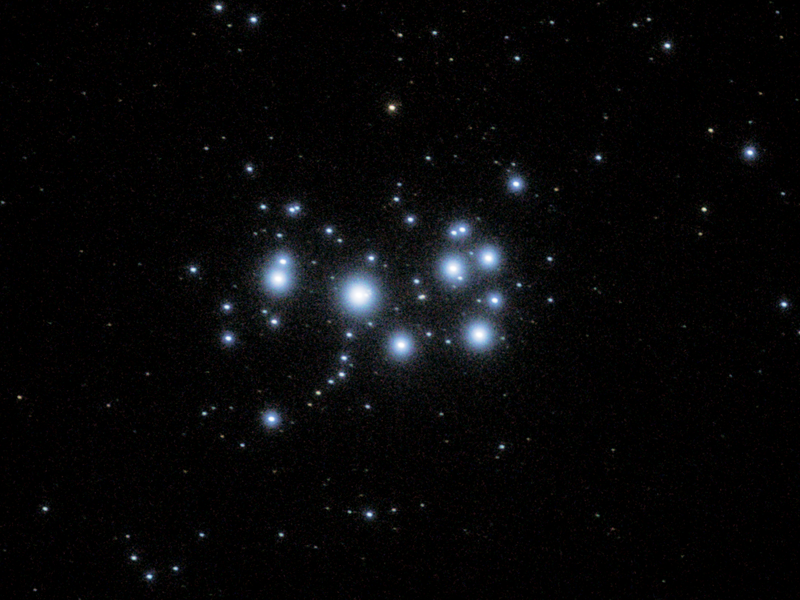 16 lights (80% of the best taken), 11 darks. 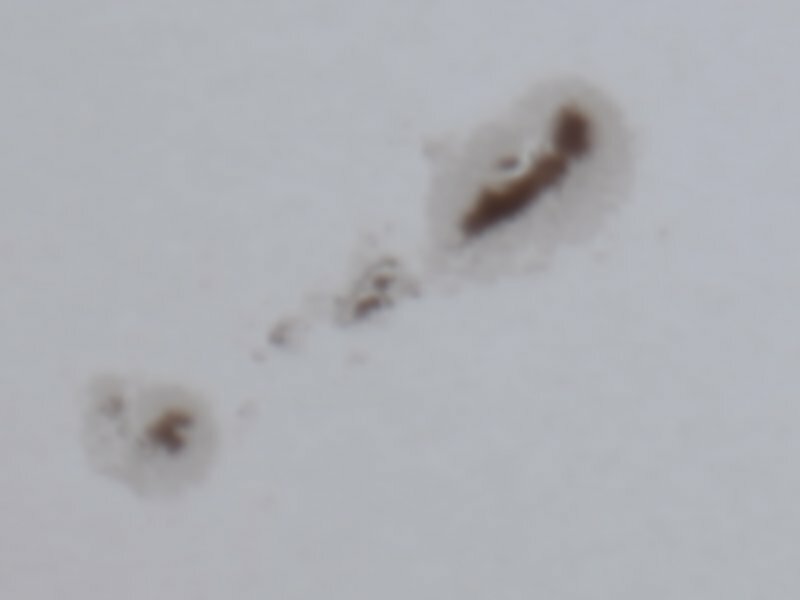 This image was 3X 'drizzled' by DSS. 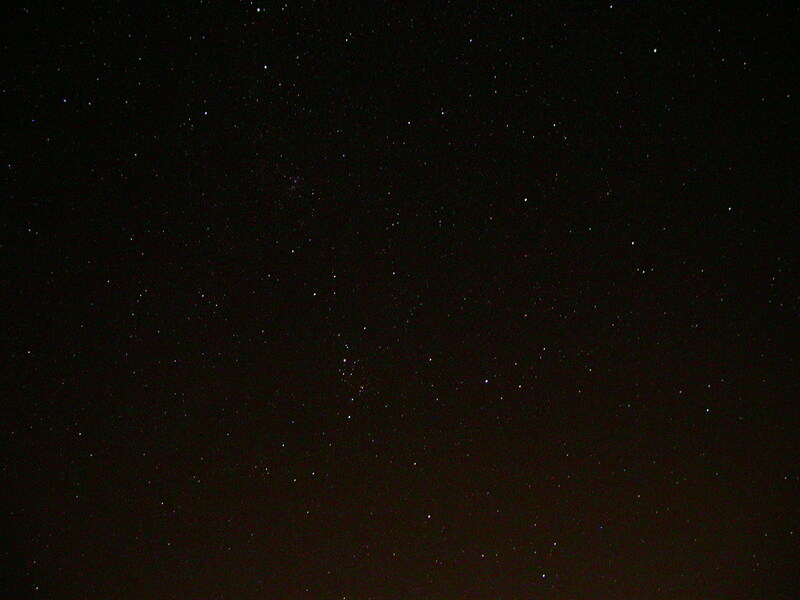 Canon T2i/550D. 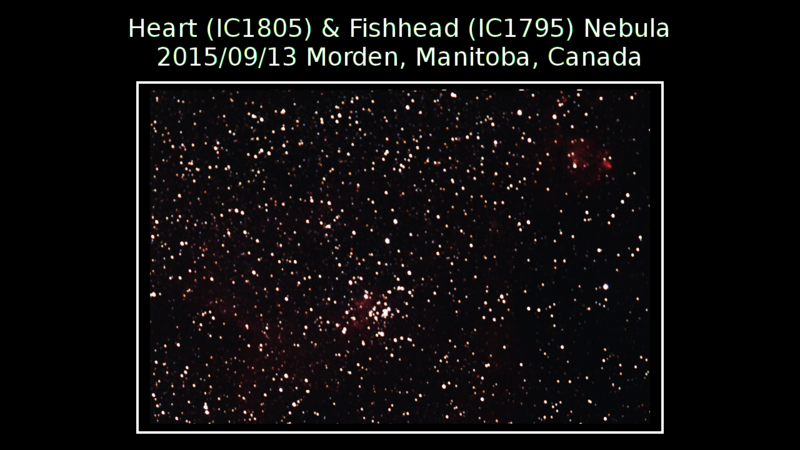 6s @ ISO800 with 1250mm Celestron C90 spotting scope at F/14, on iOptron SmartStar-A mount in alt/az mode. Canon T2i/550D with 29 lights (25% best taken), 9 darks, 10 bias, and 1 master flat frame. Processed using DSS and GIMP. 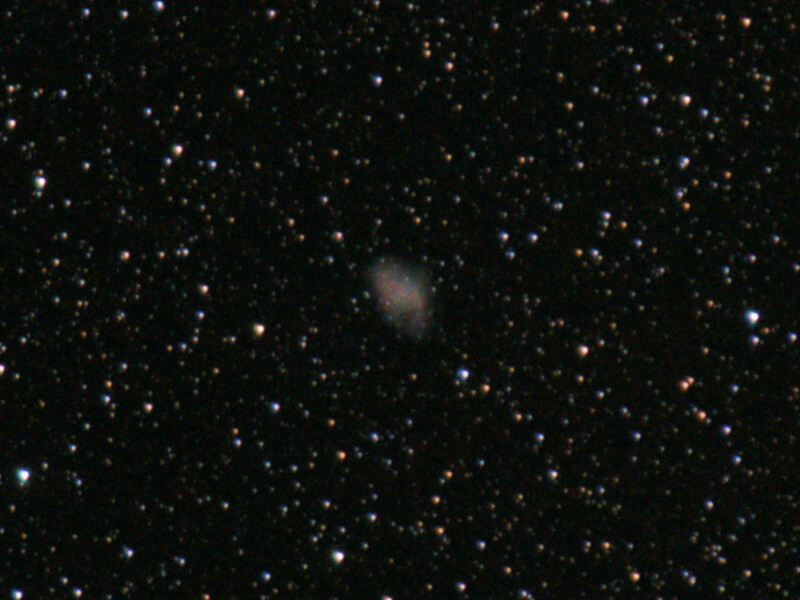 240 seconds @ ISO800 with 400mm prime lens (Sigma APO Macro) at F/5.6. Canon T2i/550D with 26 lights (25% best taken), 9 darks, 10 bias, and 1 master flat frame. Processed using DSS and GIMP. 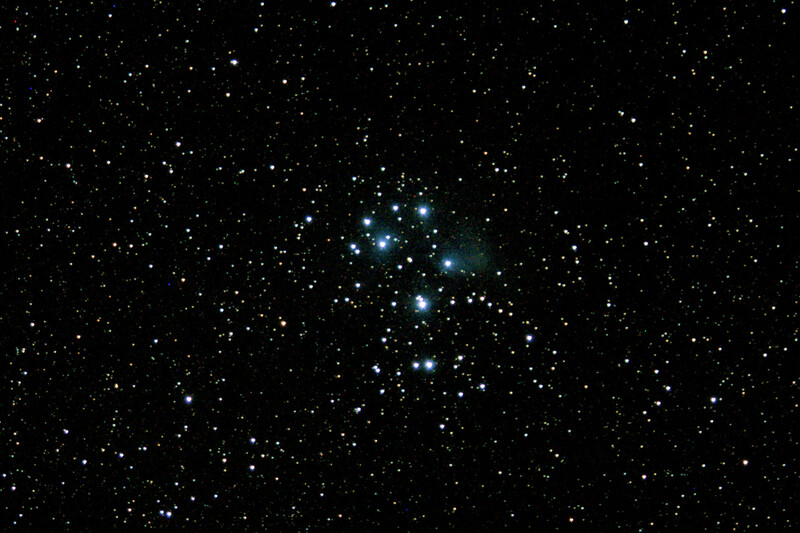 240 seconds @ ISO800 with 400mm prime lens (Sigma APO Macro) at F/5.6. 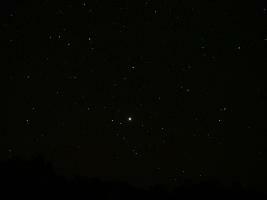 Canon T2i/550D with 9 lights (25% best taken), 9 darks, 10 bias, and 1 master flat frame. 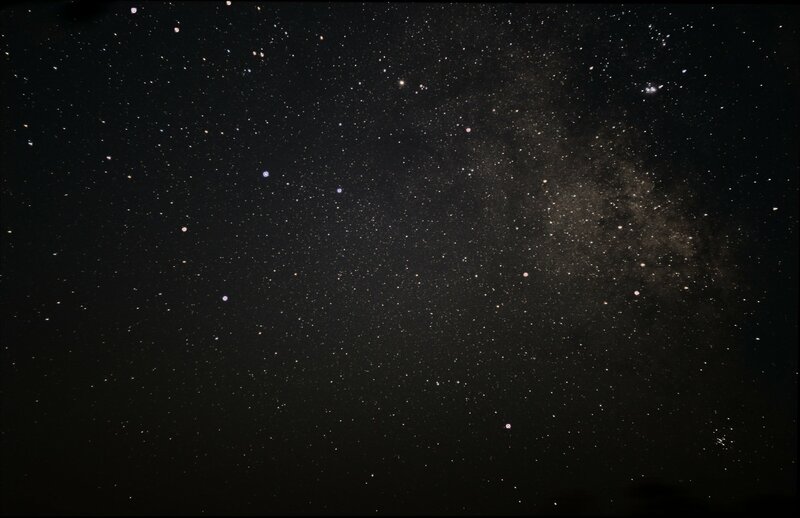 Processed using DSS and GIMP. 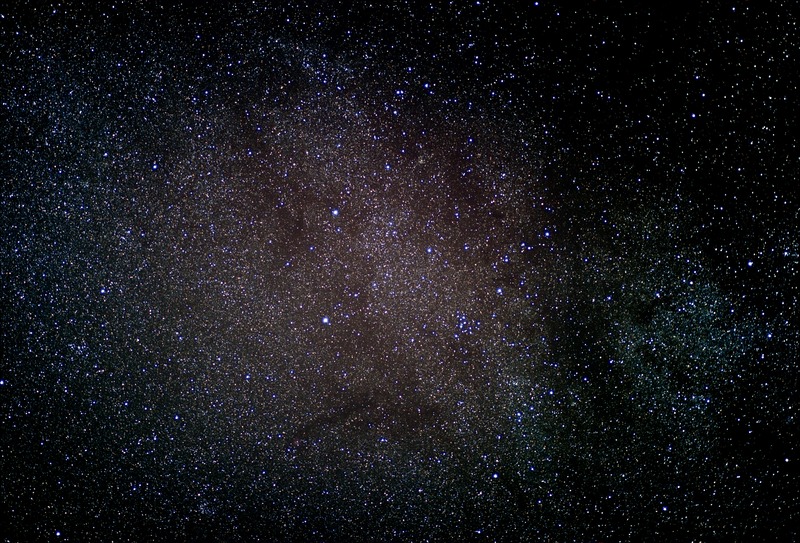 240 seconds @ ISO800 with 400mm prime lens (Sigma APO Macro) at F/5.6. 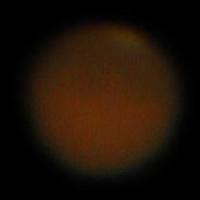 This one required a LOT of post-processing to bring out the faint red nebula -- others have done a much better job with this. 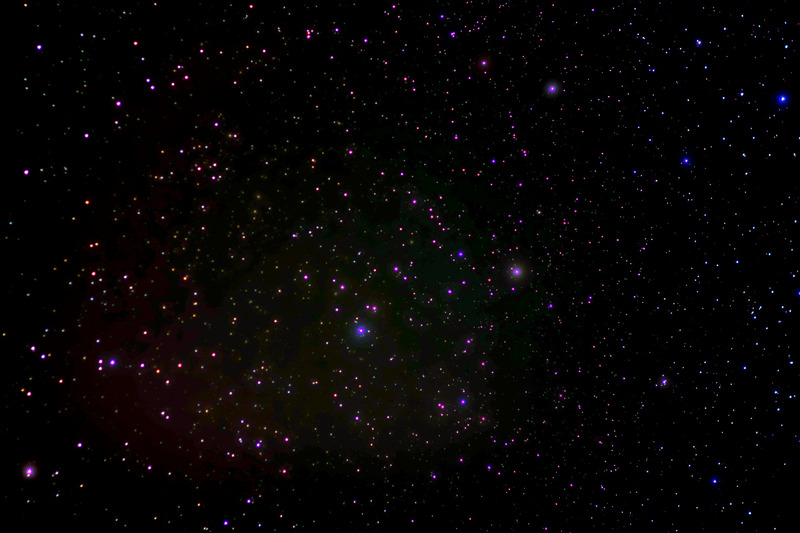 Next time I will try to include the 'Soul' nebula in the same frame. 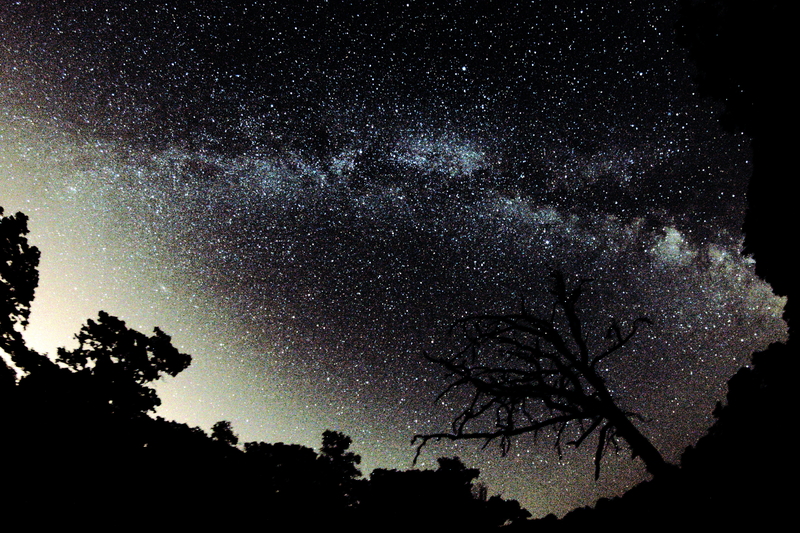 Weather, insects, and motivation delayed my astrophotography attempts until the late summer of 2015. On August 19/20, I had intended to try to capture M51 (Whirlpool Galaxy) and M101 (Pinwheel Galaxy), but from my backyard tree-bounded site, they were obscured -- so I had to do a quick re-think. My polar alignment was not as exact as I wished, but since it was already midnight and I was very sleepy, I decided to move ahead. Canon T2i/550D with 12 lights (25% best taken), 3 darks, 10 flats, and 1 master bias frame. Processed using DSS and GIMP. 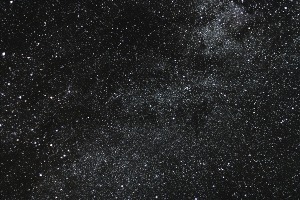 240 seconds @ ISO800 with 400mm prime lens (Sigma APO Macro) at F/5.6. Canon T2i/550D with 9 lights (25% best taken), 3 darks, 10 flats, and 1 master bias frame. Processed using DSS and GIMP. 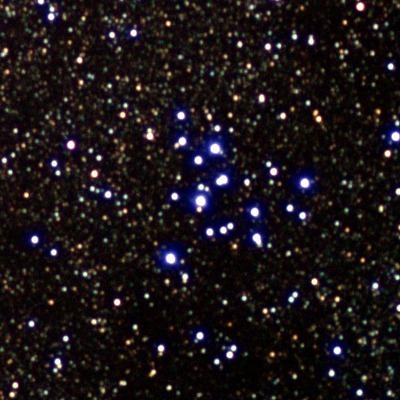 240 seconds @ ISO800 with 400mm prime lens (Sigma APO Macro) at F/5.6. Canon T2i/550D with 25 lights (25% best taken), 3 darks, 10 flats, and 1 master bias frame. Processed using DSS and GIMP. 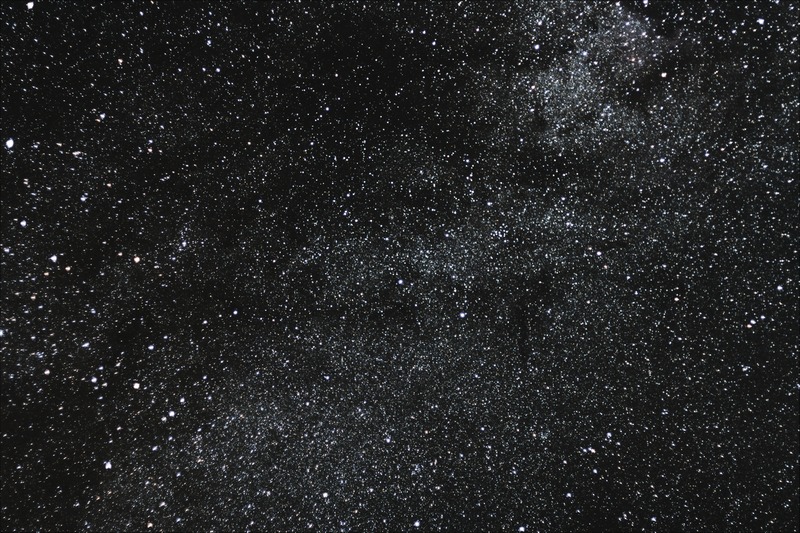 240 seconds @ ISO800 with 400mm prime lens (Sigma APO Macro) at F/5.6. 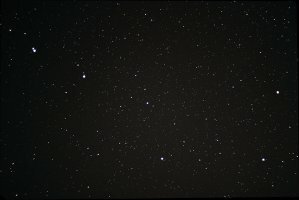 Canon T2i/550D with 43 lights (80% best taken), 11 darks, 10 flats, and 10 bias frames. Processed using DSS and GIMP. 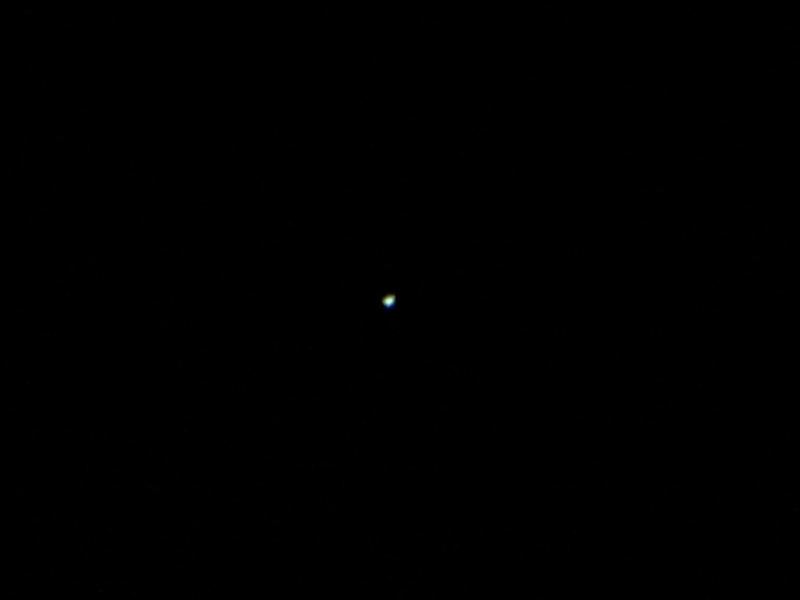 180 seconds @ ISO800 with 400mm prime lens (Sigma APO Macro) at F/5.6. 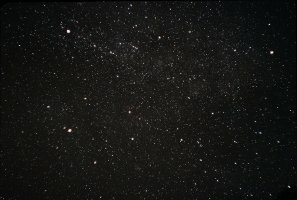 Canon T2i/550D with 27 lights (80% best taken), 10 darks, 10 flats, and 10 bias frames. 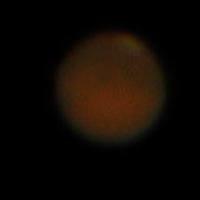 Processed using DSS (including 3x drizzle!) and GIMP. 300 (!) seconds @ ISO800 with 55-250mm zoom lens at 171mm setting. 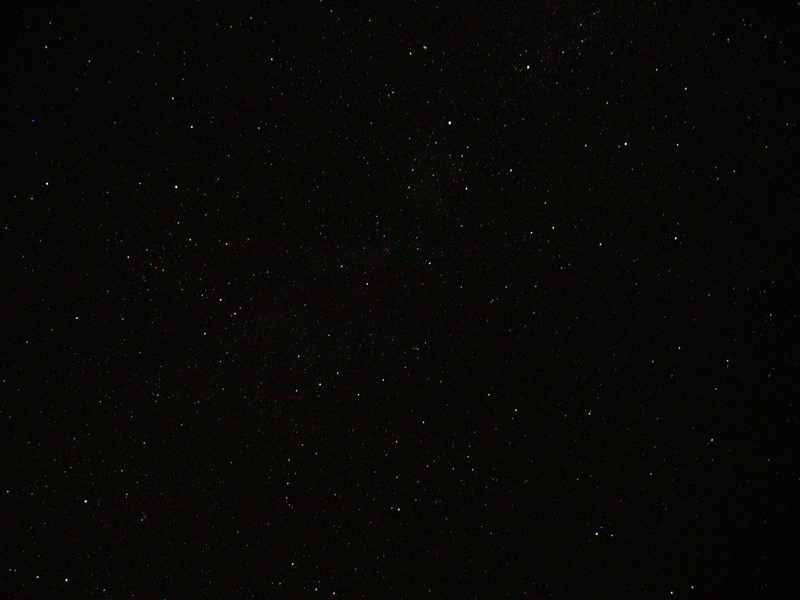 Canon T2i/550D with 12 lights (80% best taken), 11 darks, 10 flats, and 10 bias frames. 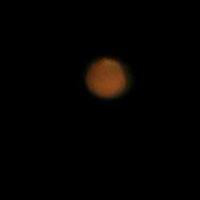 Processed using DSS (including 3x drizzle!) and GIMP. 240 (!) seconds @ ISO800 with 55-250mm zoom lens at 171mm setting. 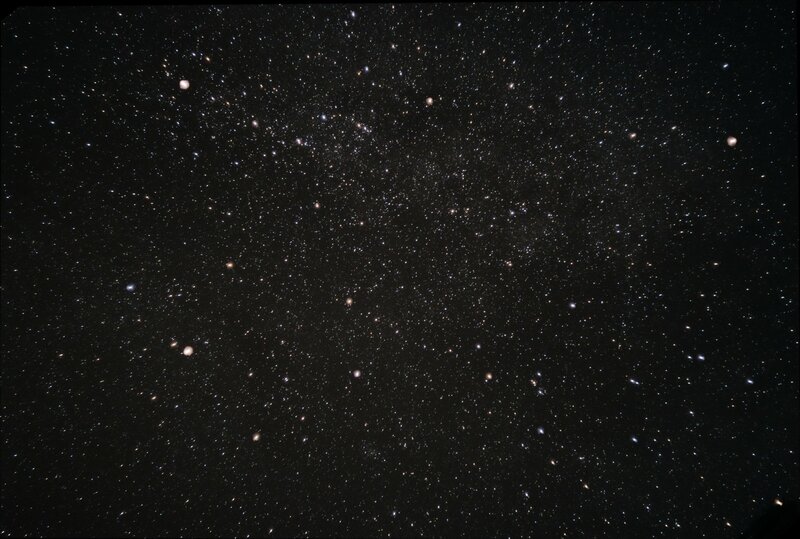 Canon T2i/550D with 15 lights (80% best taken), 11 darks, 10 flats, and 10 bias frames. 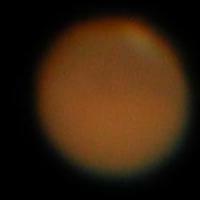 Processed using DSS (including 3x drizzle!) and GIMP. 240 (!) seconds @ ISO800 with 55-250mm zoom lens at 171mm setting. Canon T2i/550D with 62 lights (90% best taken), 12 darks, 10 flats, and 10 bias frames. 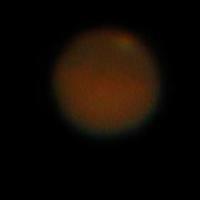 Processed using DSS (including 3x drizzle!) and GIMP. 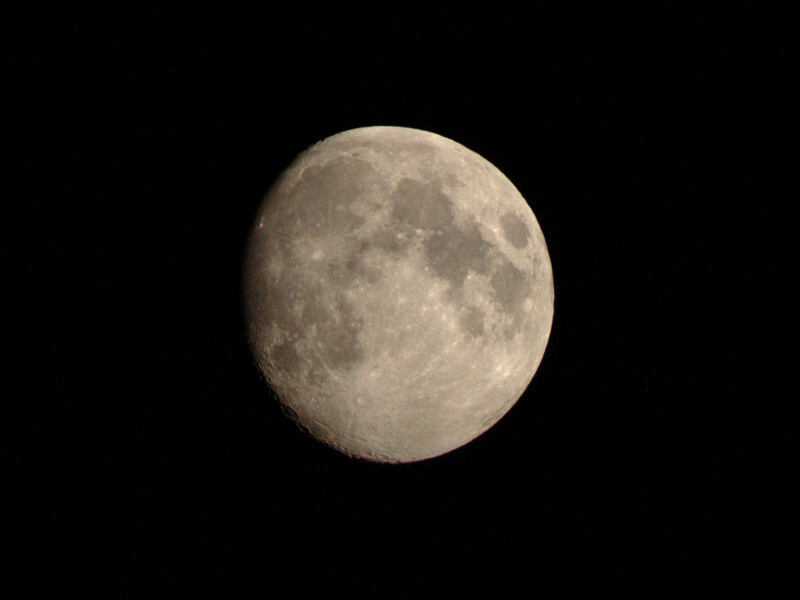 210 seconds @ ISO800 with 55-250mm zoom lens at 250mm setting. I should not have been greedy and limited the exposure to 180 seconds to avoid star streaking. Canon T2i/550D with 35 lights (90% best taken), 9 darks, 10 flats, and 10 bias frames. 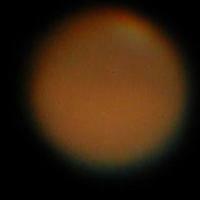 Processed using DSS (including 3x drizzle!) and GIMP. 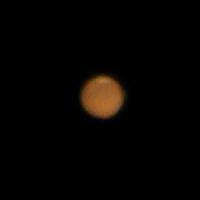 180 seconds @ ISO800 with 55-250mm zoom lens at 250mm setting. 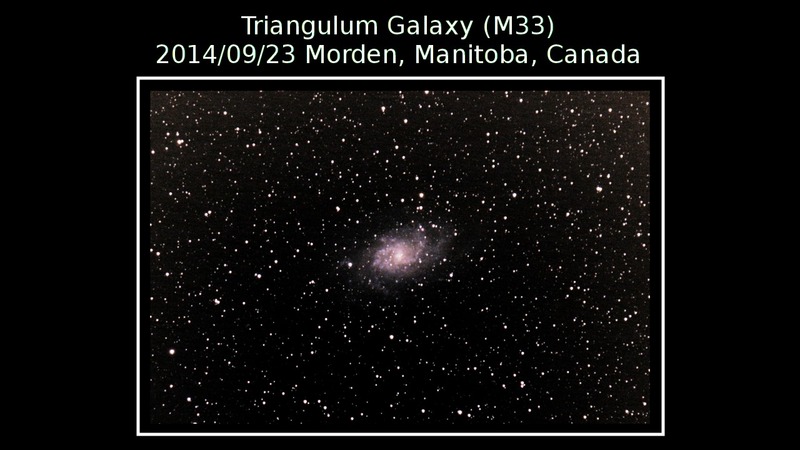 M3 (poor example) taken with Canon T2i and 55-250mm lens with iOptron ZEQ25GT. Stack of 11 lights/5 darks @120s @ISO 800 @F5.6. 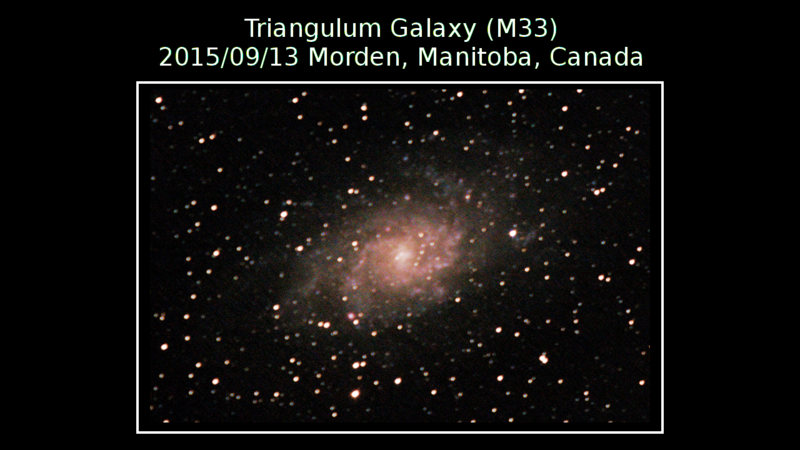 M5 (poor example) taken with Canon T2i and 55-250mm lens with iOptron ZEQ25GT. 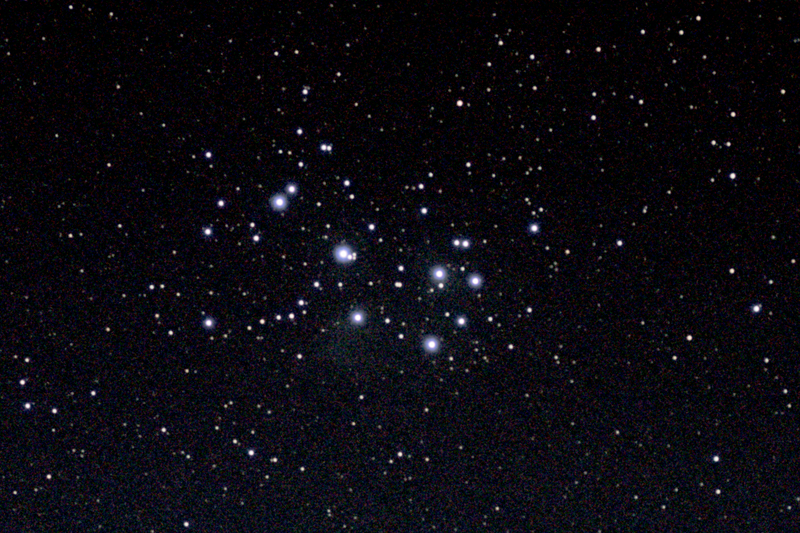 Stack of 7 lights/5 darks @120s @ISO 800 @F5.6. 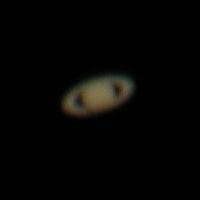 2014/07/28: Another try at Saturn, but just not getting the clarity I wanted. 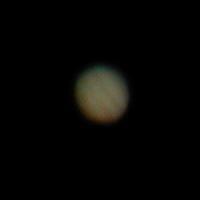 Canon T2i with Celestron C8 scope. 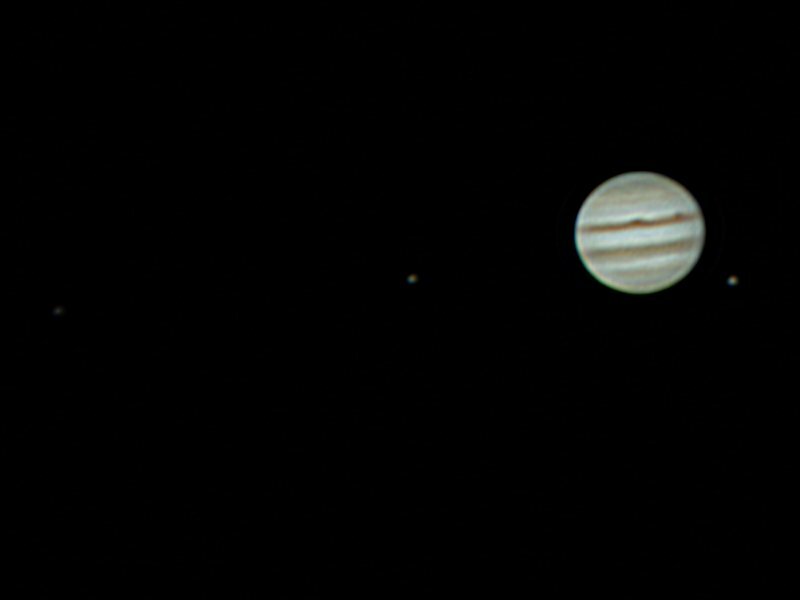 200 frames stacked with Registax. A very tiny Saturn taken on 2014/05/29 using the 640x480 zoom crop video mode on the Canon T2i attached to Celestron C90 spotting scope. Approximately 1800 of the best 40% images were stacked in Registax. Not sure (yet) while this image is so much smaller than the older Canon EOS movrec method! 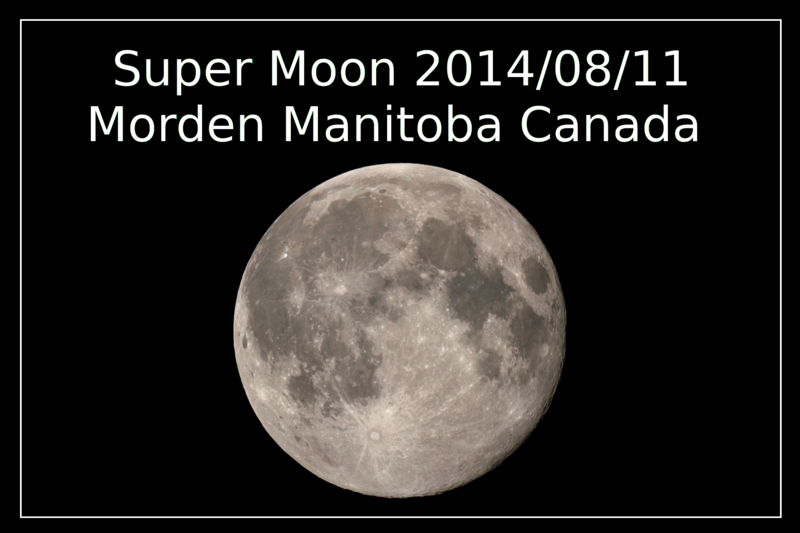 2014/08/11: Super Moon with Canon T2i and Celestron C90 spotting scope. Cloudy at sunset so woke up around 01:00 to take pics and video. 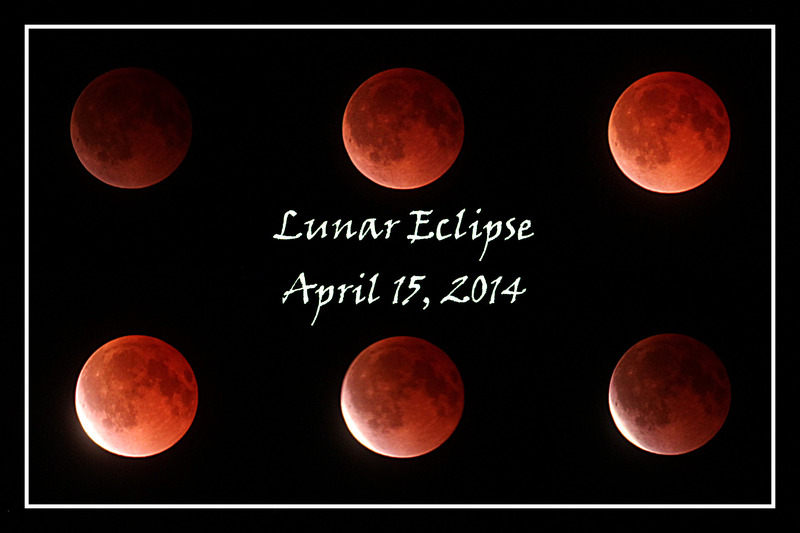 2014/04/15: Lunar eclipse at much-colder-than-seasonable temperatures (-12�C instead of 1�C), between 02:30 and 03:30. Top images are full 'umbra' shadow pics, and bottom include start of brighter 'penumbra' light in lower left of the lunar sphere. 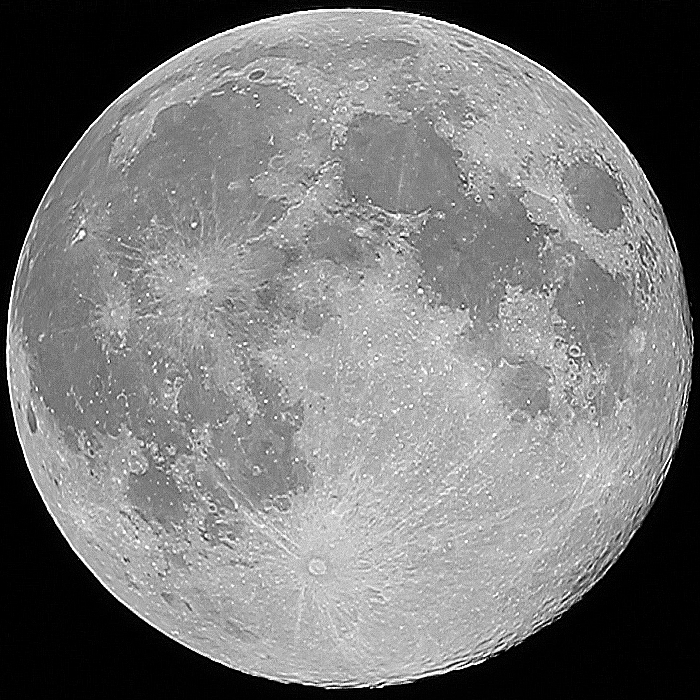 Canon T2i with 250mm telephoto lens, at 800ISO/F5.6 and exposure ranges from 1/8s to 1/2s. 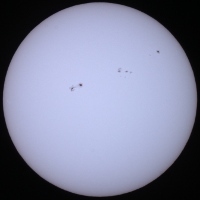 Canon T1i/500D on Celestron C90 scope with Baader solar filter (ND=5.0 for 100000x reduction in light intensity) from Kendrick Astro Instruments. Video file created by EOS movrec. Stacked image of 205 frames (best 20%) with Registax. 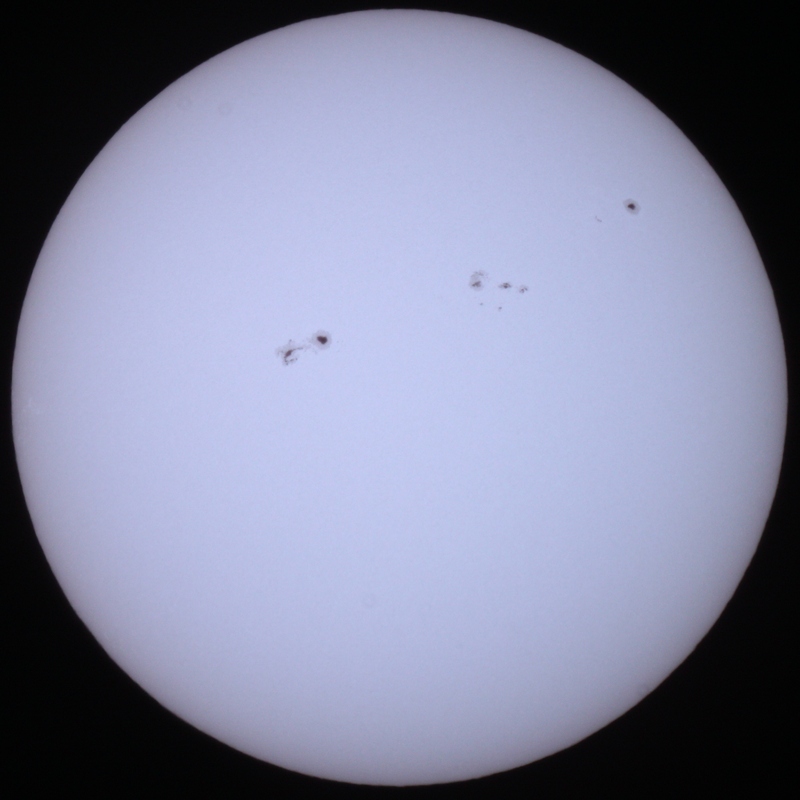 Canon T1i/500D on Celestron C90 scope with Baader solar filter (ND=5.0 for 100000x reduction in light intensity) from Kendrick Astro Instruments. Video file created by EOS movrec. Stacked image of 378 frames (best 20%) with Registax. 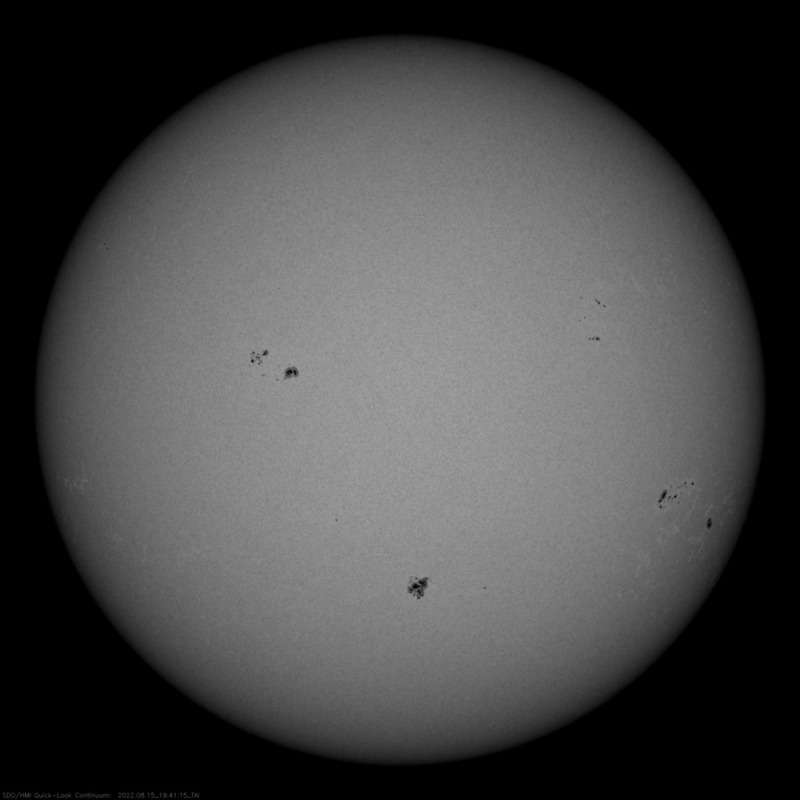 Compare to NASA SDO (Solar Dynamics Observatory) image at the same time. Canon T2i/550D on Celestron C90 scope with Baader solar filter (ND=5.0 for 100000x reduction in light intensity) from Kendrick Astro Instruments. Video file created via 640x480 video crop mode. 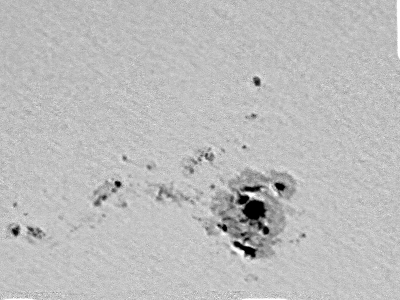 Stacked image of 150 frames (best 10%) with Registax. 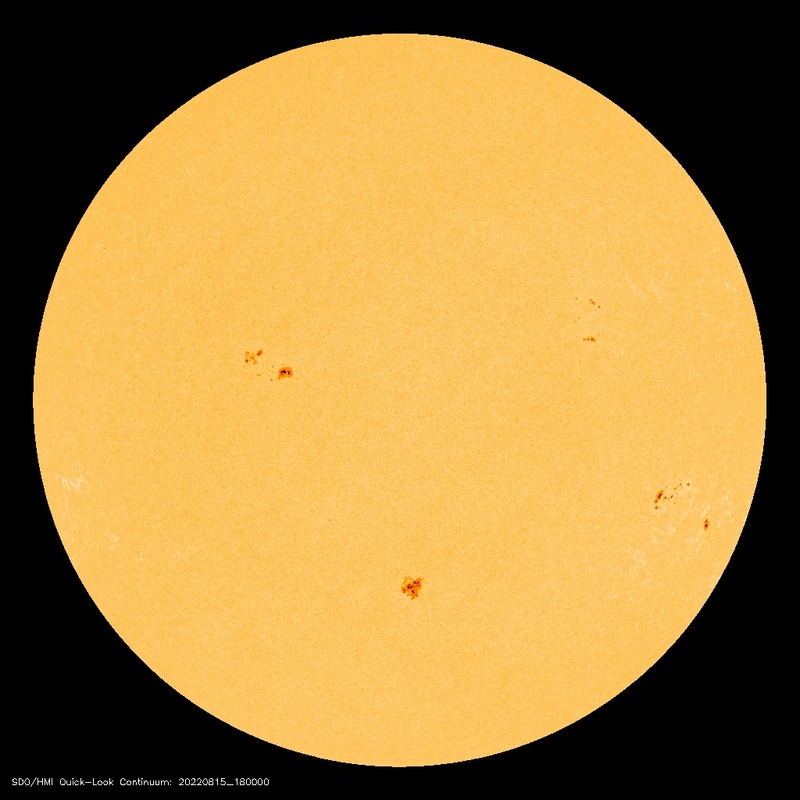 Compare to NASA SDO (Solar Dynamics Observatory) image at the same time. Sensing that the dropping temperatures and many weeks till the next New Moon might end this year's 'comfortable' astronomy and imaging, I wanted to try for more messier objects on October 12/13th, but was not entirely successful. 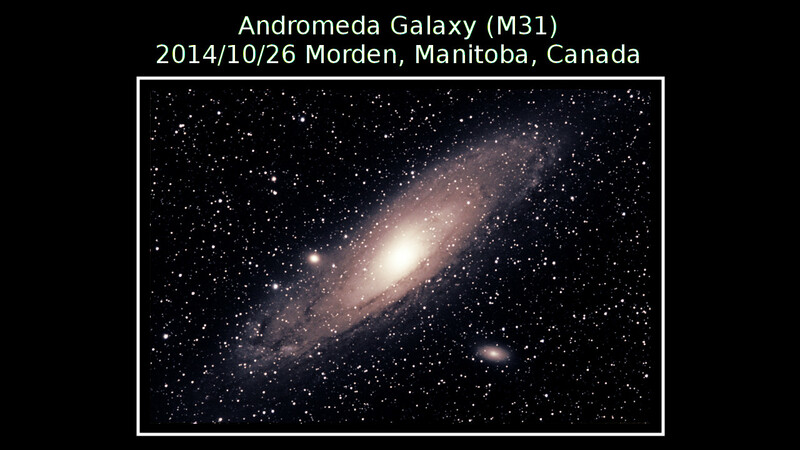 M31 (Andromeda) again! This time I wanted to display a wider view. Canon T1i/500D with 55-250mm zoom lens. 90s @ F5.6 @ ISO800. 77 lights/10 darks/20 lightflats/20 bias frames. 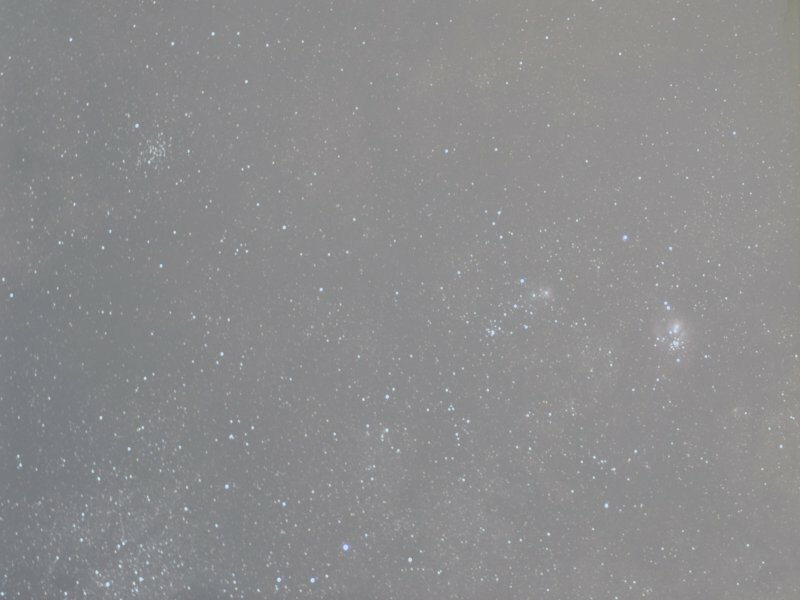 My goal was to capture a wider field around M42 to include the Horsehead Nebula (B33/IC 434) near the star Alnitak, but my zoom setting was not quite good enough. Canon T1i/500D with 55-250mm zoom lens @ 135mm. 90s @ F5.6 @ ISO800. 46 lights/10 darks/10 light flats/10 dark flats/10 bias frames. 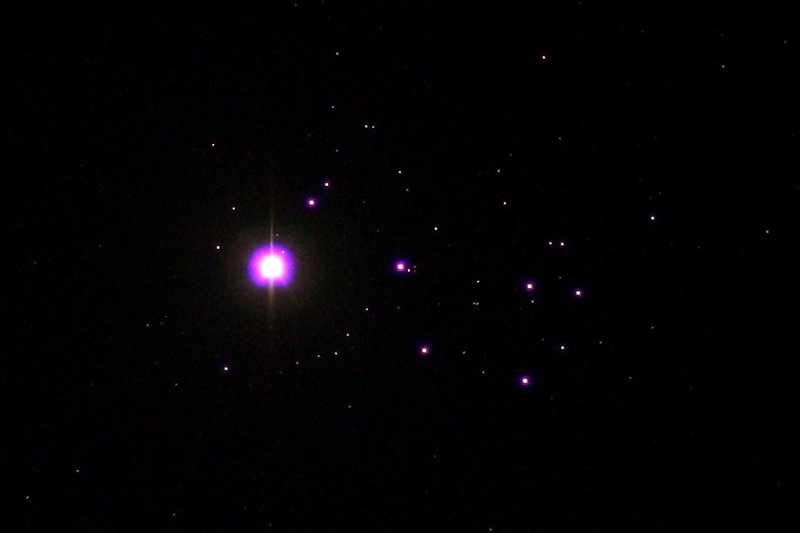 M52 (NGC 7654) was conveniently overhead while I was waiting for Orion, so I wanted to capture it. Very small! Canon T1i/500D with 55-250mm zoom lens. 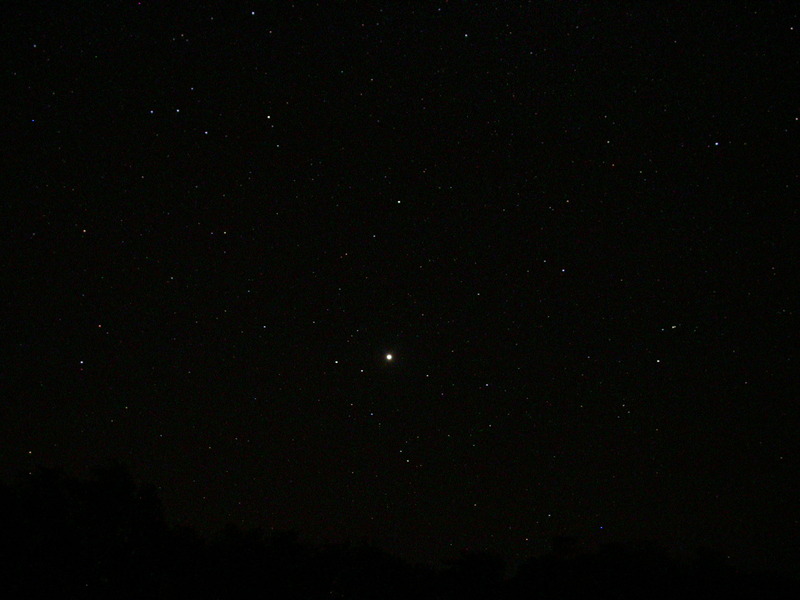 60s @ F6.3 @ ISO800. 33 lights/10 darks. With temperatures getting uncomfortably cold at the start of October 2013 (near 0�C), I decided to take advantage as much as possible of the remaining Moonless nights. 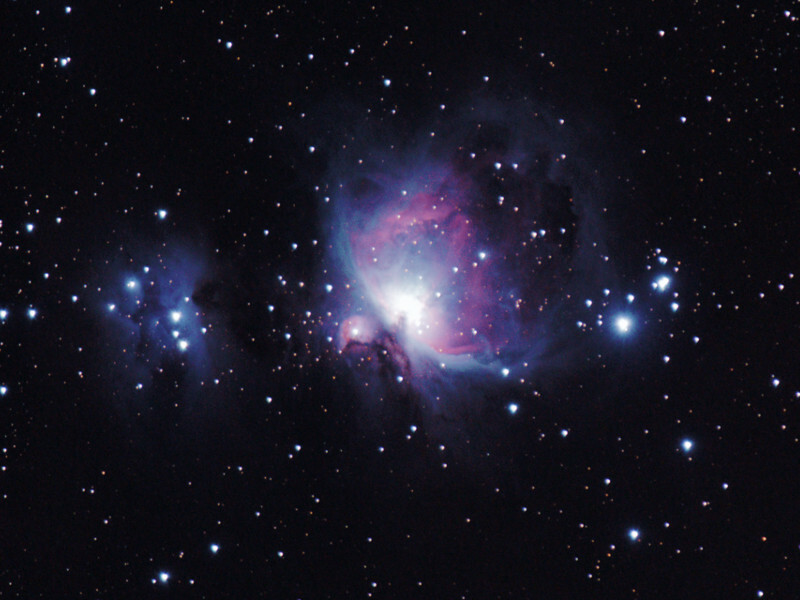 I very much wanted to try capturing M42 (Orion Nebula) before the cold and snow ended my outdoor astronomy for 2013. While waiting for M42 to rise, I decided to re-try M31 and M45, but also M1 (which is much tougher than all the rest!). I also included light and dark flats in the image processing sequence. 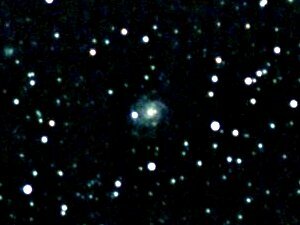 M1 (Crab Nebula) on Canon T1i/500D with 55-250mm zoom lens. 90s @ F5.6 @ ISO800. 32 lights/21 darks/20 light flats/20 dark flats. M31 (Andromeda) on Canon T1i/500D with 55-250mm zoom lens. 90s @ F5.6 @ ISO800. 80 lights/21 darks/20 light flats/20 dark flats. 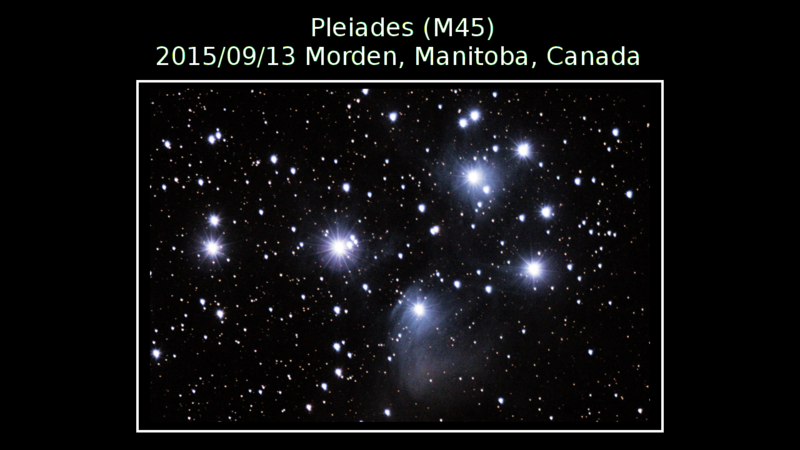 M45 (Pleiades) on Canon T1i/500D with 55-250mm zoom lens. 90s @ F5.6 @ ISO800. 34 lights/21 darks/20 light flats/20 dark flats. 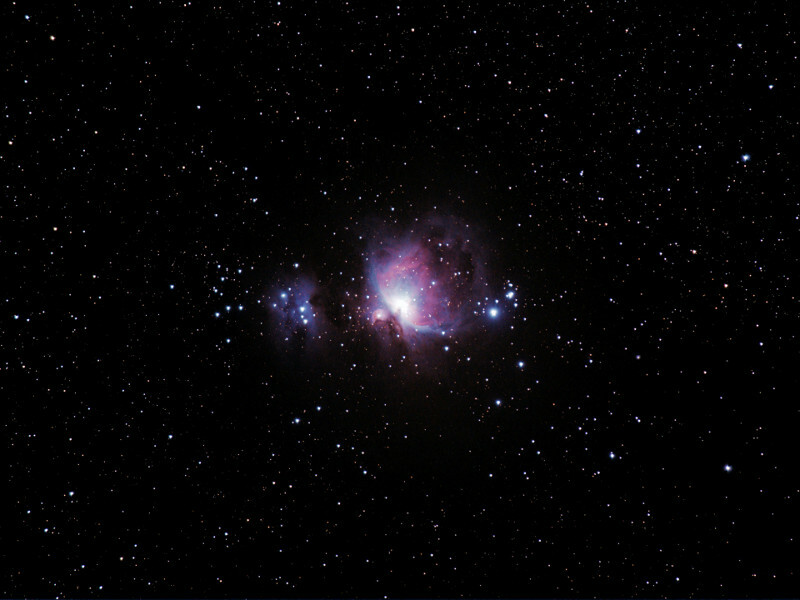 M42 (Orion Nebula) on Canon T1i/500D with 55-250mm zoom lens. 90s @ F5.6 @ ISO800. 23 lights/21 darks/20 light flats/20 dark flats. M31 (Andromeda) on Canon T1i/500D with 80mm iOptron R80 scope. 90s @ F5.0 @ ISO800. 100 lights/10 darks. 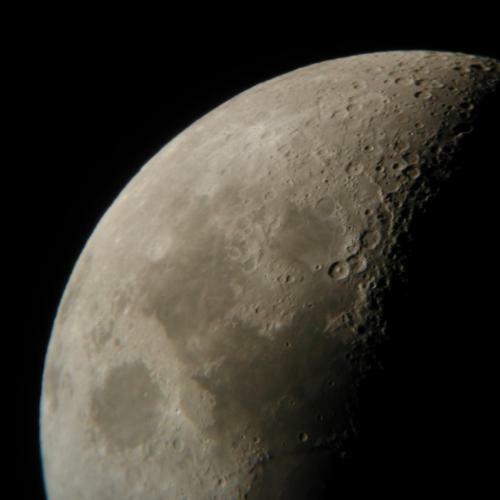 Moon on Canon T1i/500D with 80mm iOptron R80 scope. 1/1000s @ F5.0 @ ISO800. On the night of 2013/09/17, I was better prepared for using my new iOptron ZEQ25GT mount, along with the intervalometer feature of Magic Lantern on my Canon 500D, and I focused on M31/Andromeda i.e. that which had let me down 4 days earlier. 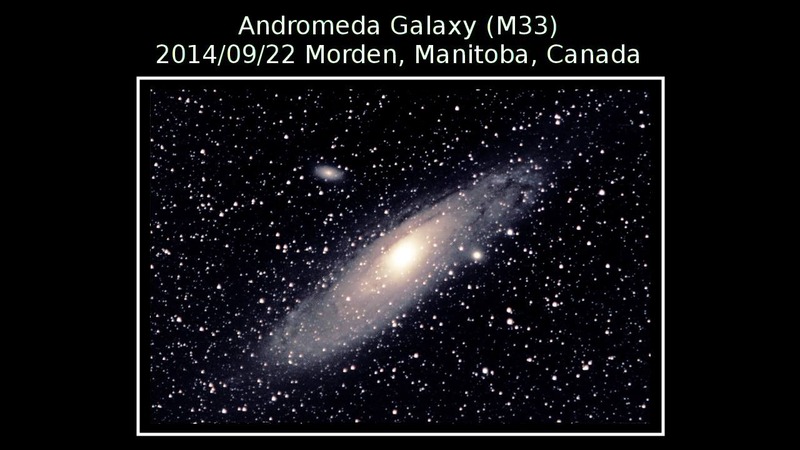 M31 (Andromeda) on Canon T1i/500D with 55-250mm zoom lens. 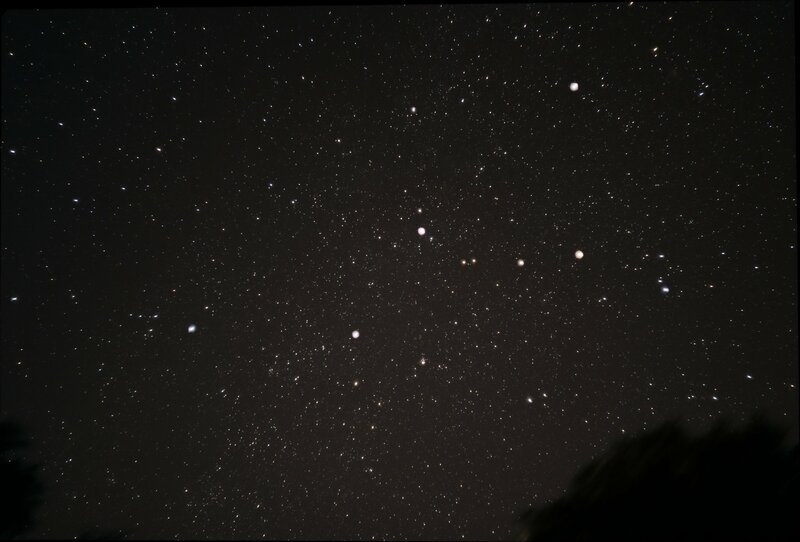 60s @ F5.6 @ ISO800. 23 lights/17 darks. 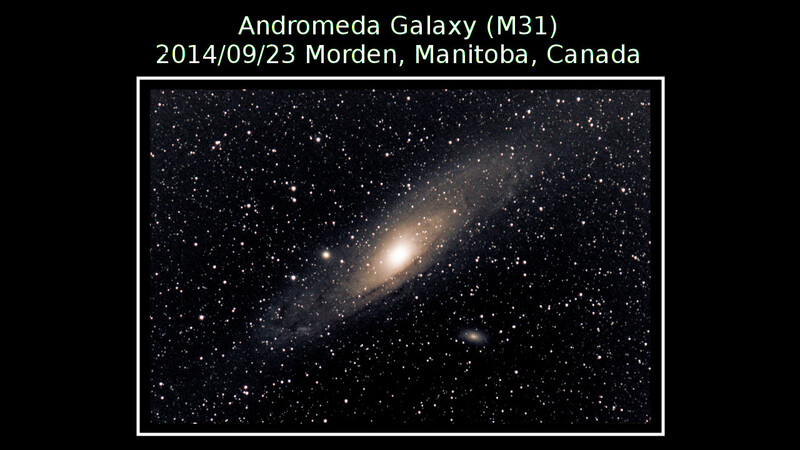 M31 (Andromeda) on Canon T1i/500D with 55-250mm zoom lens. 120s @ F5.6 @ ISO800. 71 lights/20 darks. 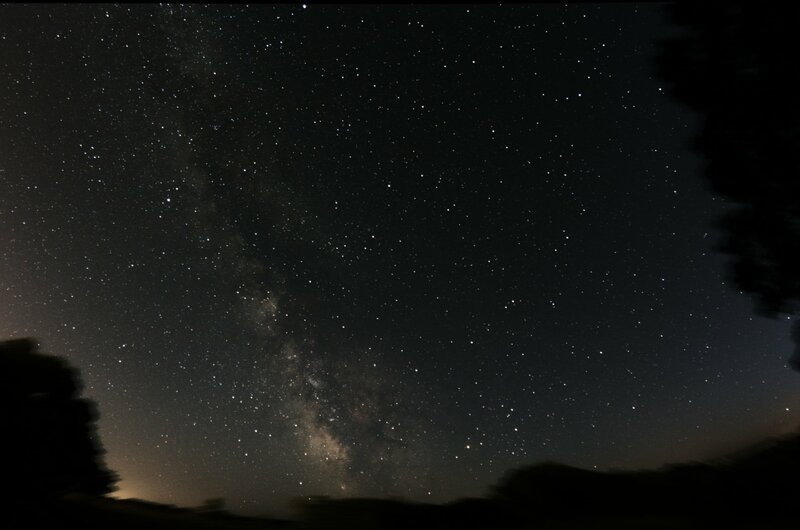 Samyang 8mm on Canon T1i/500D. 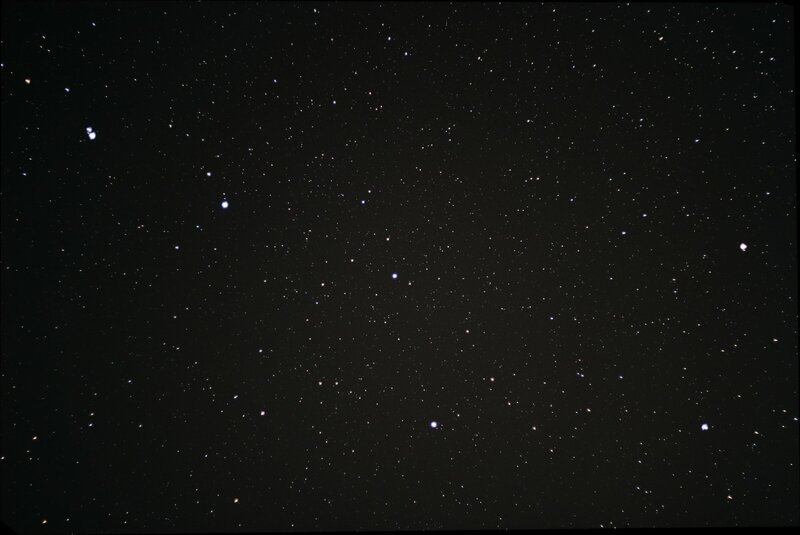 30s @ 3200ISO @ F5.6. Stacking of 5 lights/20 darks and post-processing. 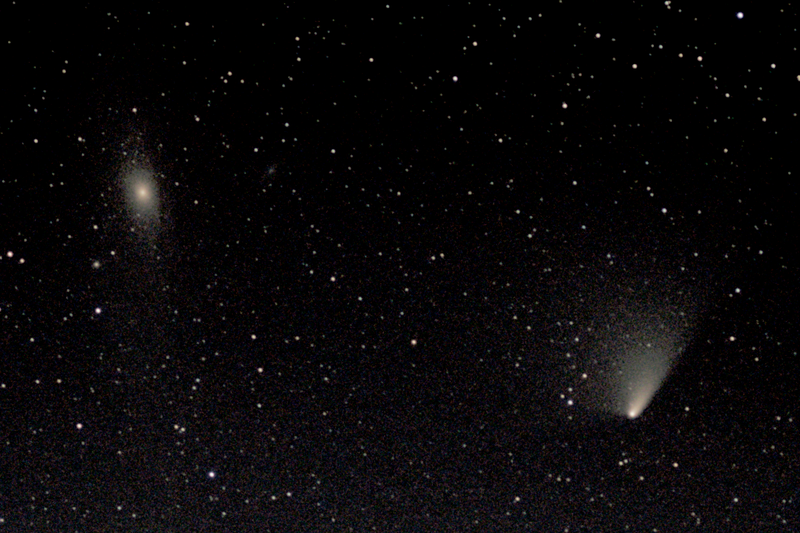 A long winter and cold spring was an obstacle to pleasant viewing early in 2013, but Comet C/2011 L4 "Panstarrs" would not wait, and so this became my first 'cold' adventure. First try! Samyang 85mm on Canon T1i/500D. 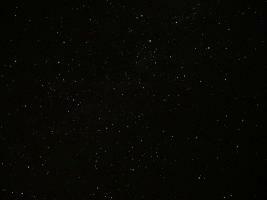 1s exposure @ 1600ISO @ F2.0 with no stacking. Next try! Panstarrs in lower right corner. Samyang 85mm on Canon T1i/500D. 2s exposure @ 1600ISO @ F2.0 with stack of 30 lights/10 darks and post-processing. 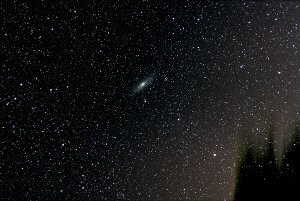 Notice M31 (Andromeda Galaxy) is upper left corner. 5 seconds was enough to cause star motion blur with no tracking mount. 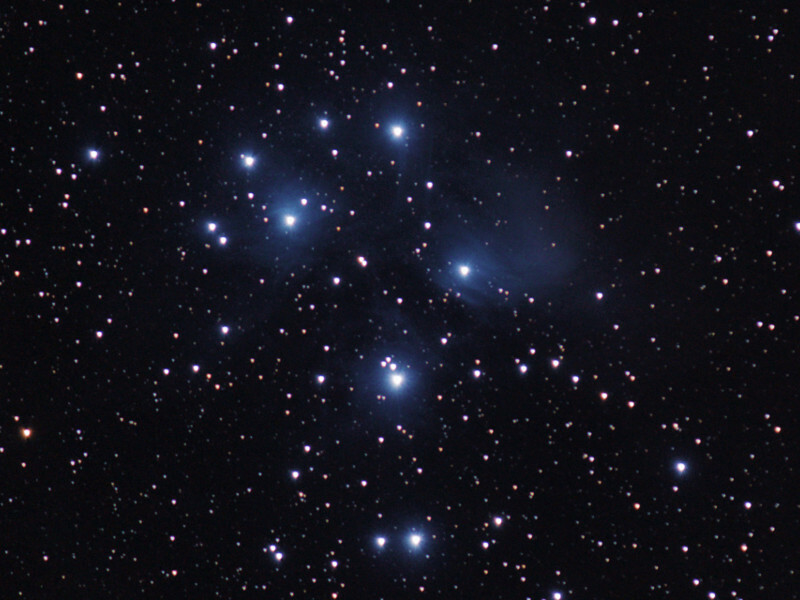 Since I was out in the cold anyways, decided to try M45 again. 85mm on Canon T1i/500D. 2s exposure @ 1600ISO @ F2.0 with stack of 30 lights/10 darks and post-processing. 5 seconds was enough to cause star motion blur with no tracking mount. 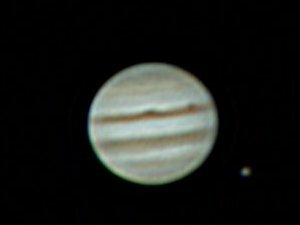 With my iOptron telescope mount damaged beyond repair, I have to rely on simple camera/tripod astrophotography more heavily. In the wee hours of the morning (04:00 CDT Oct 22) I set up my Canon T1i and Samyang 85mm fisheye. 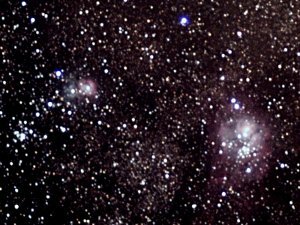 Using 'Magic Lantern' to do the intervalometer work for me, and DeepSkyStacker for stack work, I captured a closeup of Orion (e.g. 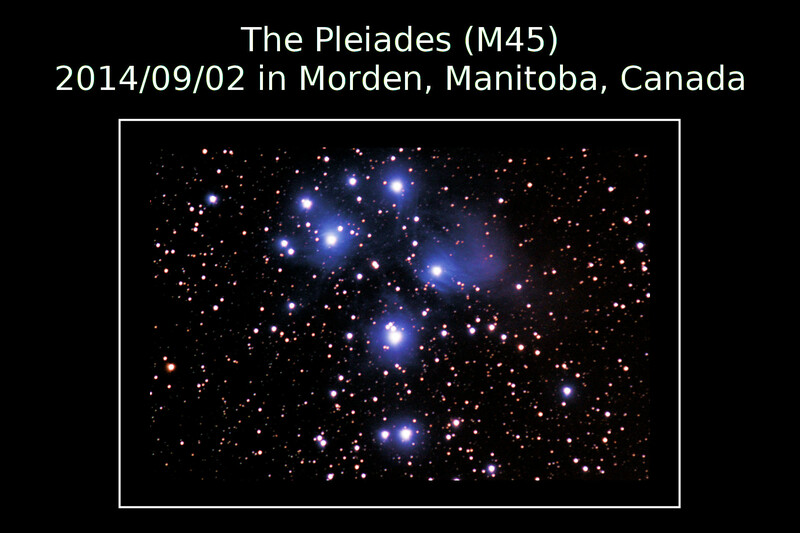 M42) and the Pleiades (M45). 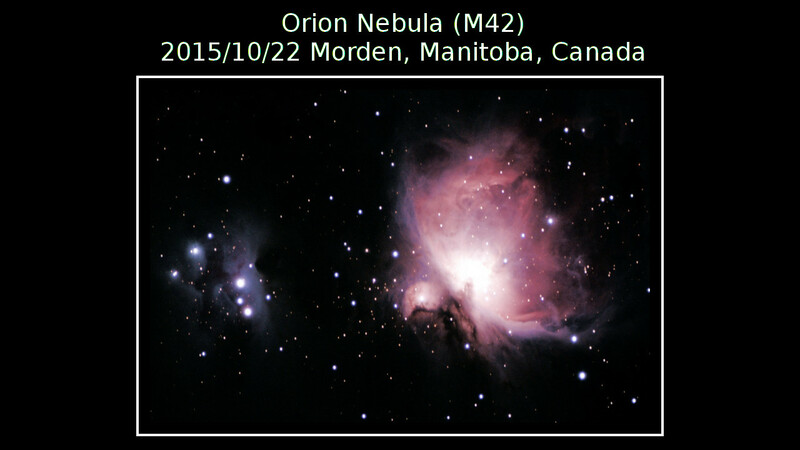 Here is an Orion from the morning (04:00 CDT Oct 18) I set up my Canon T1i and Samyang 8mm fisheye, with an annotated version from Astrometry. 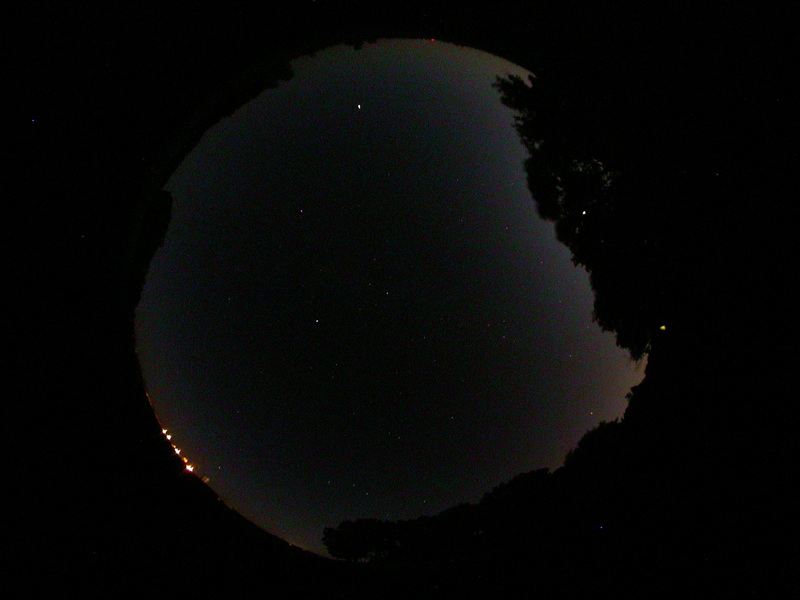 Decided to attempt capture of some of the 2012 Perseid Meteor shower. 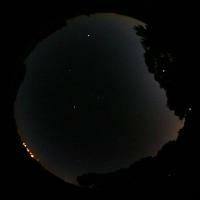 Best predicted night was August 11/12, but that night was cloudy. Next best was August 12/13, and even though thunderstorms threatened the evening, by the wee hours of the morning (03:00 CDT) I set up my Canon T1i and Samyang 8mm fisheye. 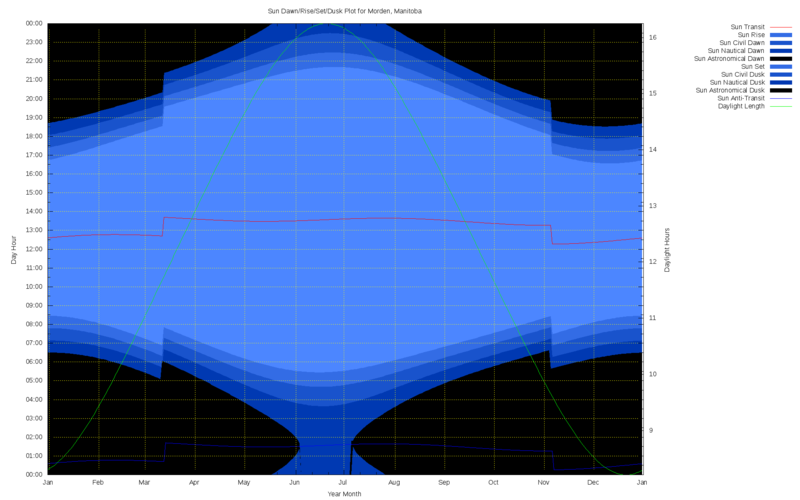 This time I used the newest version of 'Magic Lantern' to do the intervalometer work for me. Perseid Meteor shower single capture. Samyang 8mm on Canon T1i/500D. 30s exposure @ 3200ISO @ F5.6. 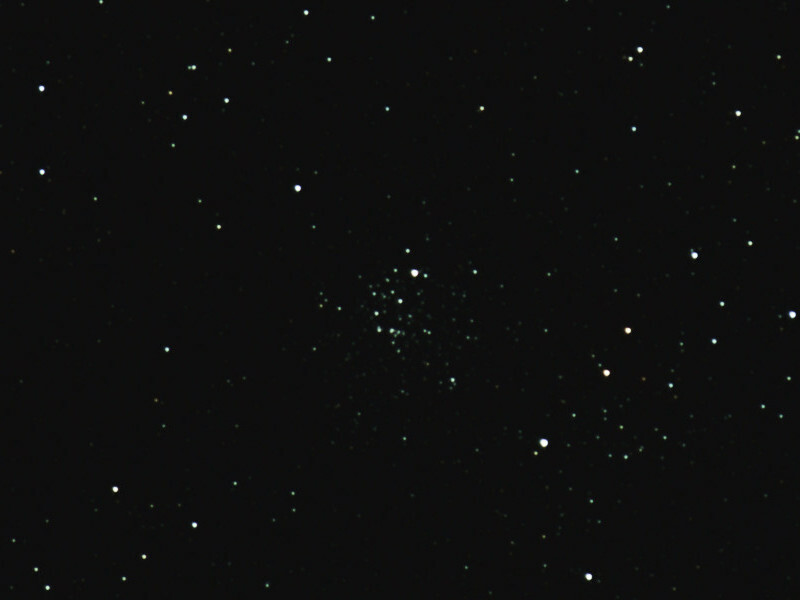 Attempt to capture M39/NGC 7092. Samyang 85mm on Canon T1i/500D. 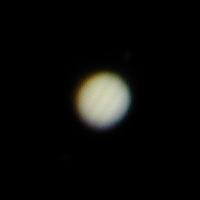 Piggyback on Celestron C8 Ultima mount (no GOTO). 30s exposures @ 1600ISO @ F1.4. Stacked in DSS with 32 lights/12 darks. 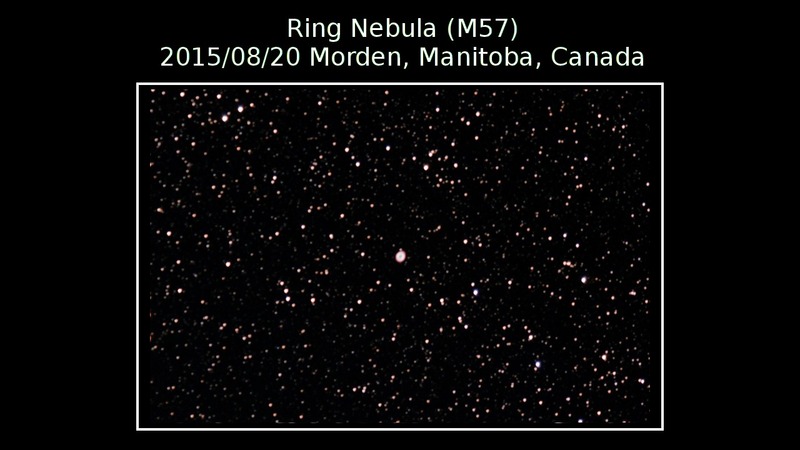 Attempt at M57/NGC 6720 ("Ring Nebula"). Samyang 85mm on Canon T1i/500D. 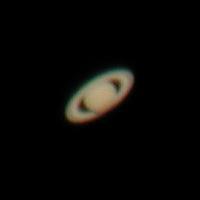 Piggyback on Celestron C8 Ultima mount (no GOTO). 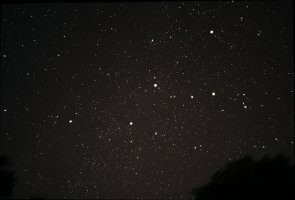 30s exposures @ 1600ISO @ F1.4. Stacked in DSS with 34 lights/12 darks. Here are some Venus transit pics taken on June 5/2012 again using Baader solar filter (ND=5.0 for 100000x reduction in light intensity) from Kendrick Astro Instruments. 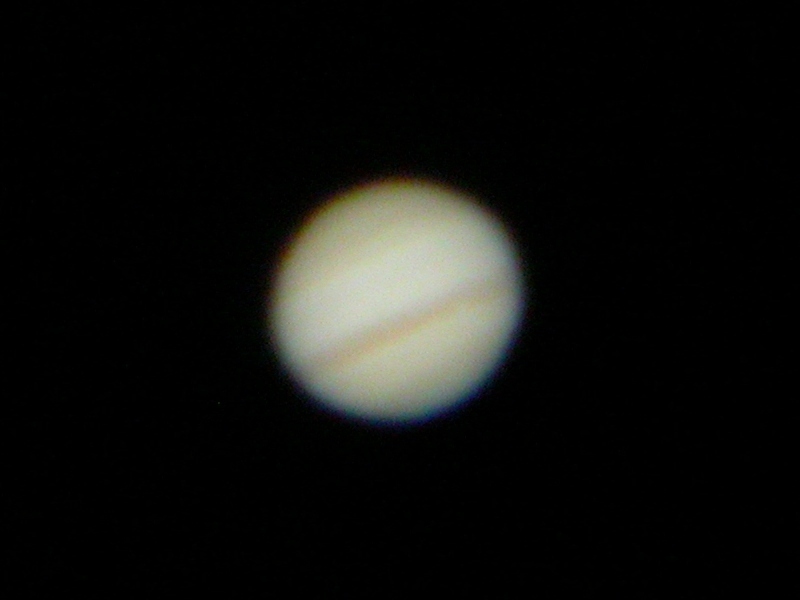 I used a 55-255mm zoom lens on my Canon T1i DSLR at full magnification, running on top of my iOptron mount. The mostly-cloudy weather, trees on the horizon, and early sunset, prevented the full transit from being recorded. 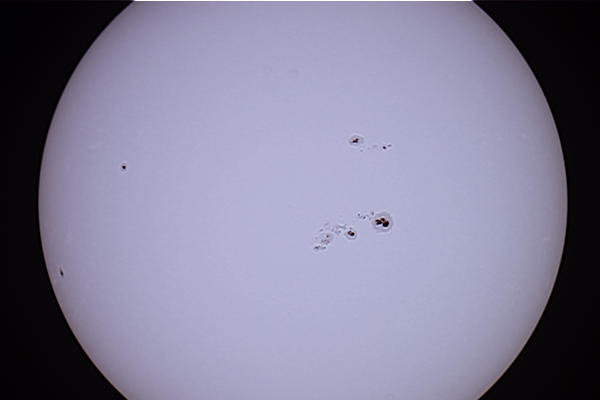 The images are stacks from Registax of 4 frames each (15s x 4 = 60s). 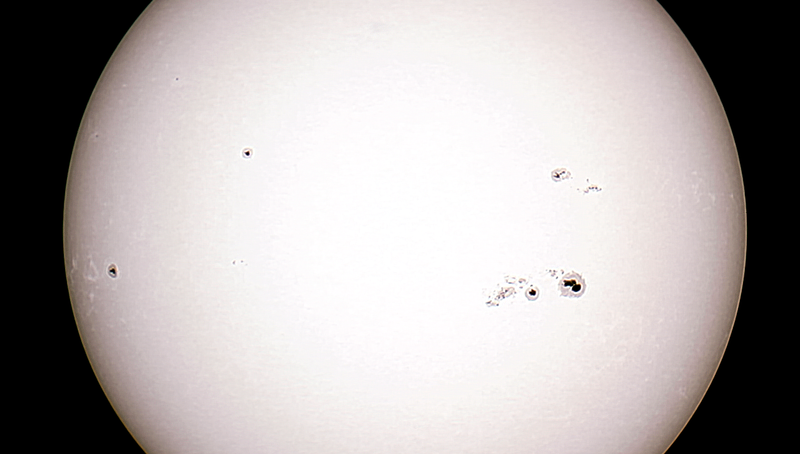 Equipment used: Canon T1i, 255mm zoom, iOptron mount, Baader Film, SmaTrig2, PowerBox800 View of some of the 'holes' in the clouds that I managed to grab some pics of the transit. Notice my camera in the lower left corner. 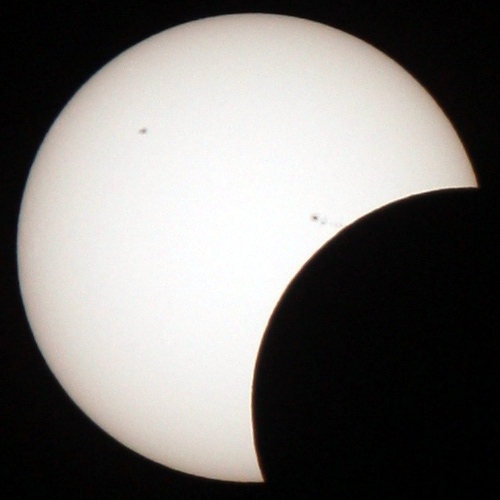 Here are some partial annular solar eclipse pics taken on May 20/2012 again using Baader solar filter (ND=5.0 for 100000x reduction in light intensity) from Kendrick Astro Instruments. I used a 55-255mm zoom lens on my Canon T1i DSLR at full magnification, running on top of my iOptron mount. The trees on the horizon, and early sunset, prevented the full eclipse from being recorded. July 13/2012: Full sun disk using Celestron C90 captured on video from Canon T1i with EOS movrec and stacked with Registax freeware. Video was ISO800 @ 1/25s @ 1232 frames (10% used) frames. July 13/2012: Full sun disk using Celestron C90 captured on video from Canon T1i with EOS movrec and stacked with Registax freeware. Video was ISO800 @ 1/20s @ 3663 frames (5% used) frames. 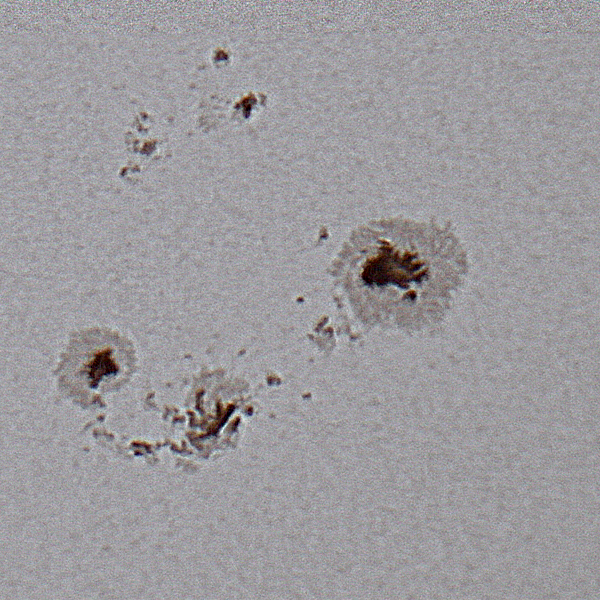 For comparison to below, the Registax 'sharpen' wavelet setting was 0.15. 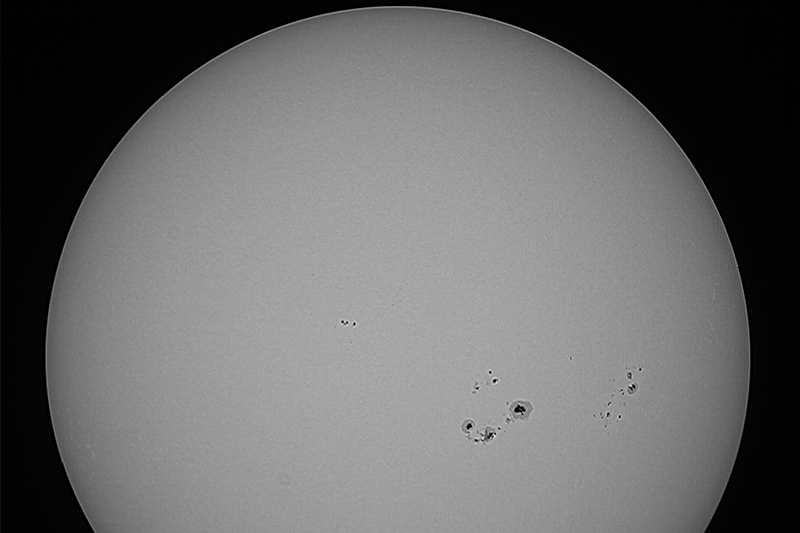 June 14/2012: Full sun disk using Celestron C90 captured on video from Canon T1i with EOS movrec and stacked with Avistack freeware. Video was ISO400 @ 1/160s @ 1332 frames (5% used) frames. 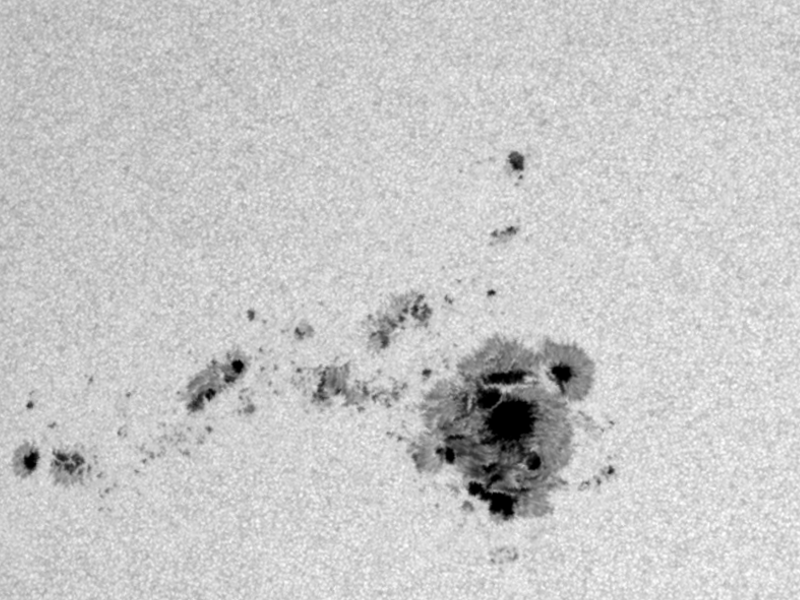 Sunspot group 1504 captured using Celestron C90 on video from Canon T1i with EOS movrec and stacked with Avistack freeware. Video was ISO1600 @ 1/800s @ 1870 frames (10% used) frames. 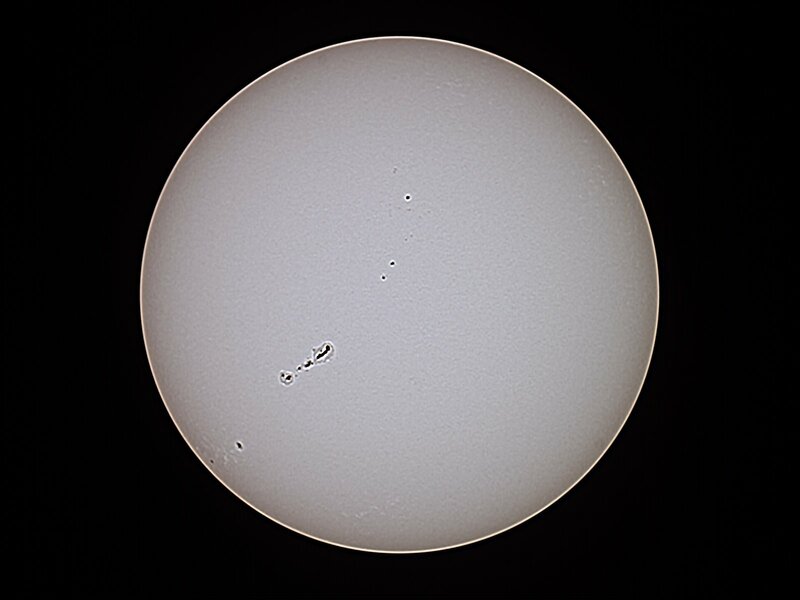 June 15/2012: Partial sun disk using Celestron C8 Ultima captured on video from Canon T1i with EOS movrec and stacked with Avistack freeware. Video was ISO1600 @ 1/800 @ 1811 frames (10% used) frames. 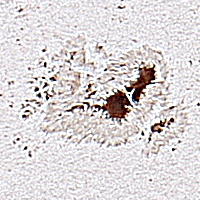 Sunspot group 1504 captured using Celestron C8 on video from Canon T1i with EOS movrec and stacked with Avistack freeware. Video was ISO800 @ 1/640s @ 1882 frames (10% used) frames. Here is a sunspot group image taken on May 10/2012 again using Baader solar filter (ND=5.0 for 100000x reduction in light intensity) from Kendrick Astro Instruments, again using my larger 8" Celestron Ultima scope attached to my Canon T1i DSLR. Sunspot group 1476 using Celestron C8 Ultima captured on video from Canon T1i with EOS movrec and stacked with Avistack freeware. Video was ISO400 @ 1/160s @ 1332 (5% used) frames. 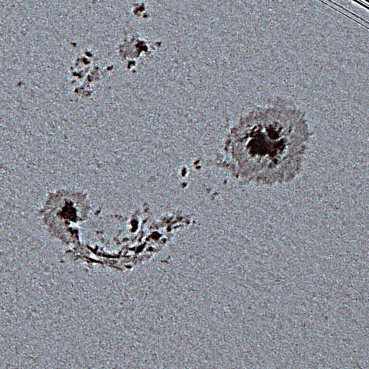 Same sunspot from NASA SDO (Solar Dynamics Observatory) for comparison. 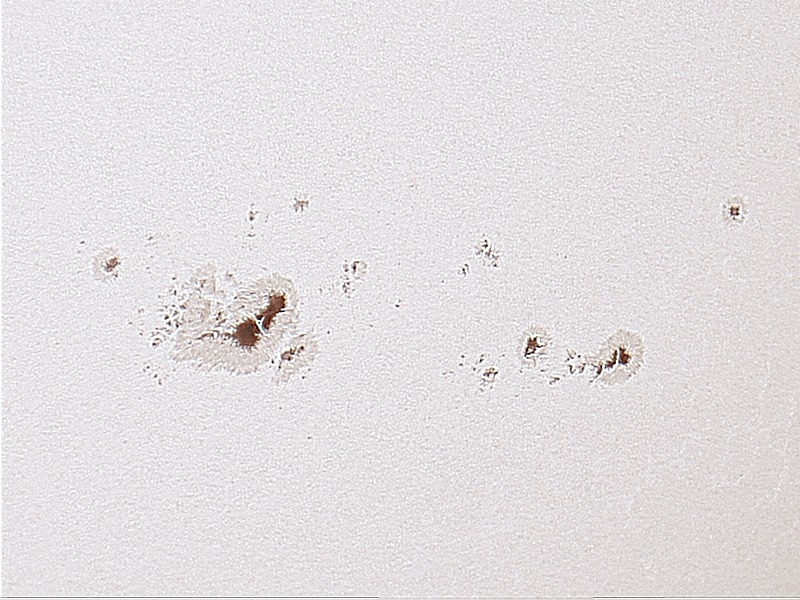 Here is a sunspot group image taken on April 20/2012 again using Baader solar filter (ND=5.0 for 100000x reduction in light intensity) from Kendrick Astro Instruments. 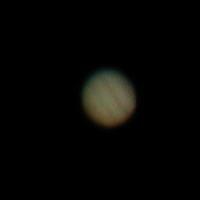 This time I used my larger 8" Celestron Ultima scope attached to my Canon T1i DSLR. Sunspot group 1460 using Celestron C8 Ultima captured on video from Canon T1i with EOS movrec and stacked with Registax freeware. Video was ISO800 @ 1/320s @ 1350 frames. Here are my attempt, on 2012/04/16, at using a astronomical 'video' with Registax freeware to see what stacking and wavelet image enhancement can do a fuzzy Saturn video -- one day after 'opposition' with Earth occurred. 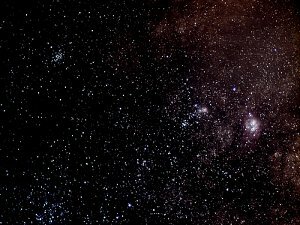 I captured the videos using EOS movrec, which I could then zoom by 5x. On the evening of 2011/11/24, temperatures were extremely mild (4.5C) and so I tried again for Jupiter on the C90 scope, comparing the same view to that of Stellarium. 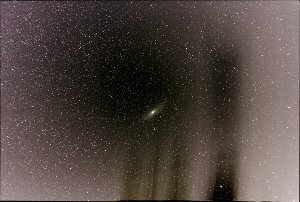 Here are my first serious astrophotography experiments with 'stacking' multiple exposures of the same sky images to increase contrast and reduce exposure noise. Here are my first serious astrophotography experiments with 'stacking' multiple exposures of the same sky images to increase contrast and reduce exposure noise and 'tracking' to reduce star trailing using a motorized telescope mount (in this case, the iOptron SmartStar-A). 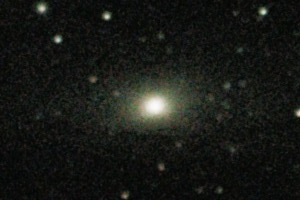 Single image of M31 85mm-1600iso-60s-f/1.4 (note intentional overexposure). Stacked image (90 light/30 dark) of M31 85mm-1600iso-60s-f/1.4 after RGB color alignment (note shift to grey hue). Stacked image (90 light/30 dark) of M31 85mm-1600iso-60s-f/1.4 after color level shift on dark side (note increased contrast). Stacked image (90 light/30 dark) of M31 85mm-1600iso-60s-f/1.4 after color curves adjustment (note nebulosity increase). Stacked image (90 light/30 dark) of M31 85mm-1600iso-60s-f/1.4 after(again) a color level shift on dark side (note increased contrast). Stacked image (90 light/30 dark) of M31 85mm-1600iso-60s-f/1.4 after unsharp filter tweaking (note artificial sharpness increase). 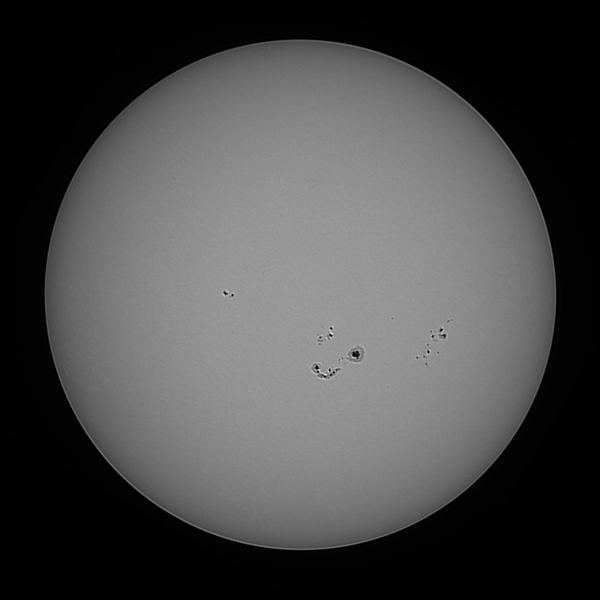 Here is an image of the Sun taken on August 2/2011 again using Baader solar filter (ND=5.0 for 100000x reduction in light intensity) from Kendrick Astro Instruments. However, this time I used my smaller 90mm Celestron C90 scope attached to my Canon T1i DSLR. 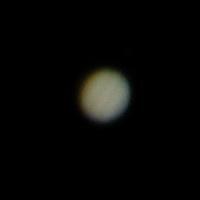 Here are some pictures that I took of the planet Uranus (for the 1st time in my life!) on the evening of September 27th. 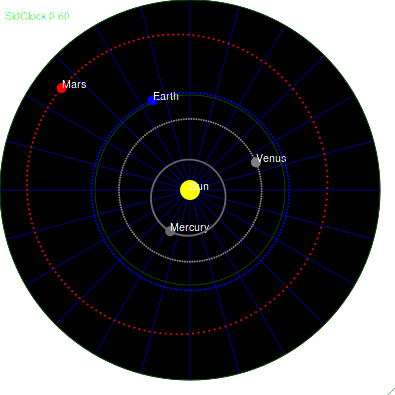 Uranus was 19.096 AU (2856723408 km) from the Earth. 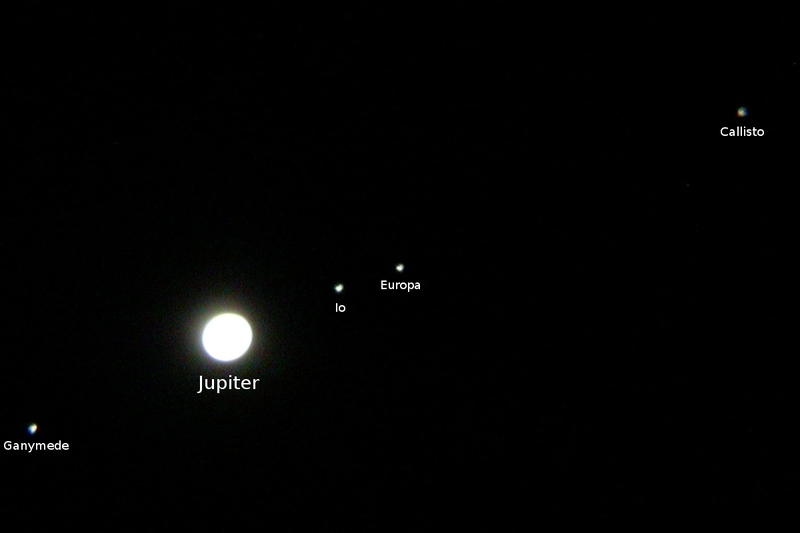 Here are some pictures that I took of the planet Jupiter on the evening of September 27th. Here are some pictures that I took of the planet Jupiter on the evening of September 25th. Here are some fisheye (180�) pics I took early on the morning of 2009/08/12, during the Perseid meteor shower, with my Nikon Coolpix 4500 and the 0.21x Nikon FC-E8 fisheye lens. No meteorites were captured, but it gave me a chance to do long-exposure fisheye shots. 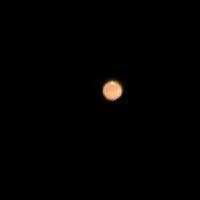 The moon was just past full, so it washed out the sky a bit. 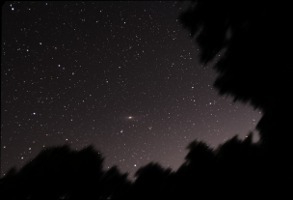 The 'noise reduction' feature was active during this time, but even then 'hot pixels' are extreme at 60 second exposures. 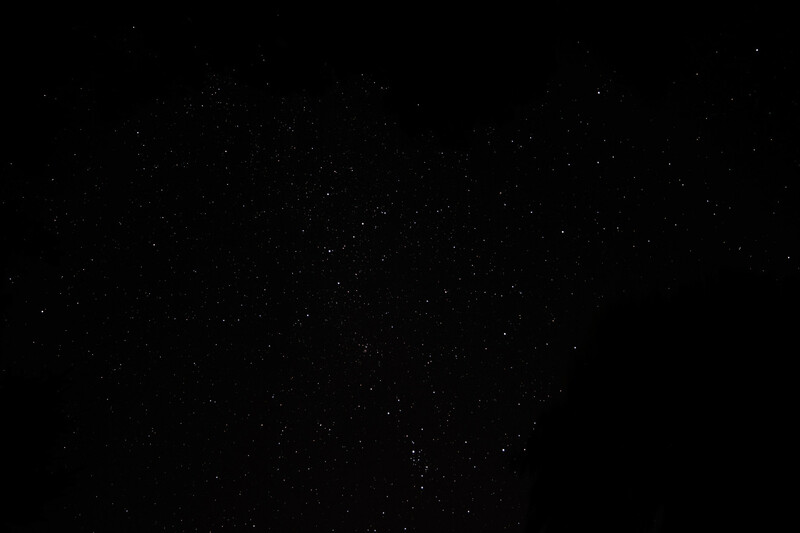 Click on an image for the full-size version. Here are some fisheye (180�) pics I took early on the morning of 2009/08/26, with my Nikon Coolpix 4500 and the 0.21x Nikon FC-E8 fisheye lens. 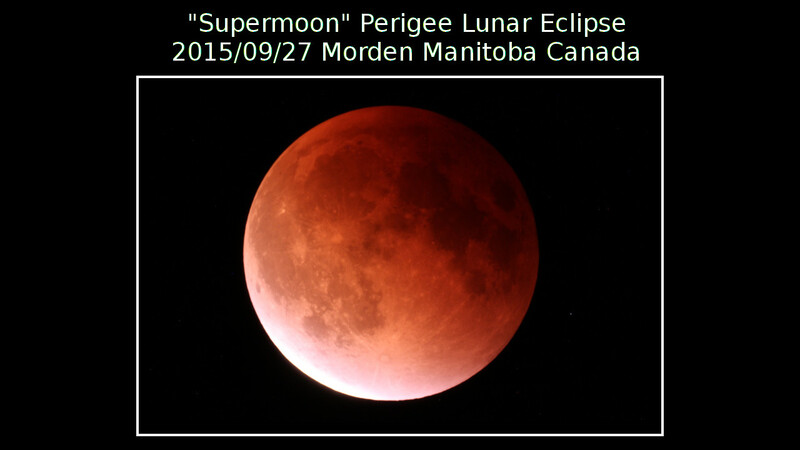 The moon was just past new, so it did not interfere with the sky this time. 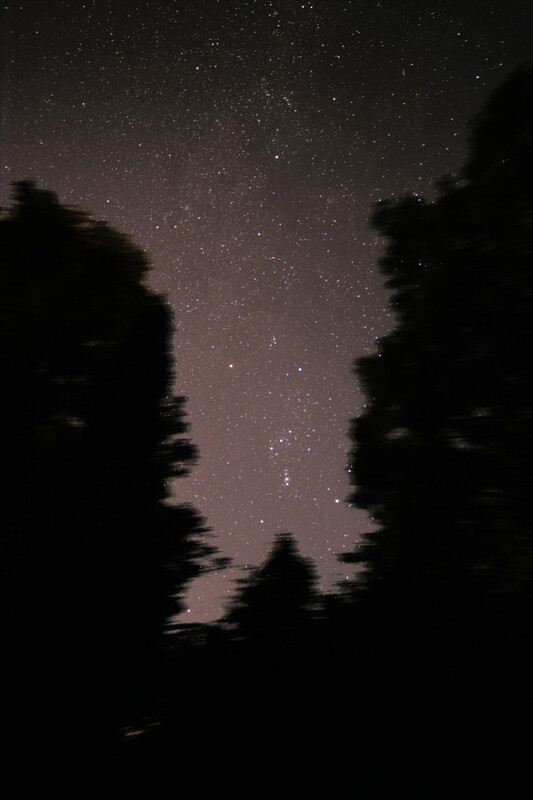 The 'noise reduction' feature was active during this time, but even then 'hot pixels' are extreme at 60 second exposures. The maximum exposure for minimal noise is about 20s (which shows mag 5 stars), but the Milky Way is brightest at 60s. 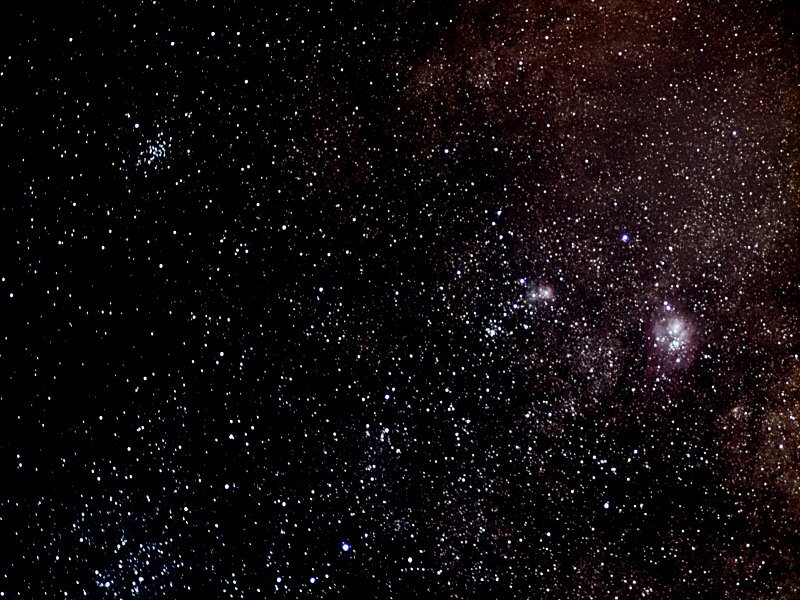 Click on an image for the full-size version. 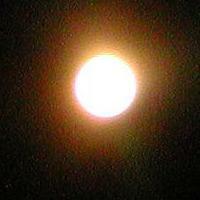 Here are normal pics I took early on the morning of 2009/08/26, with my Nikon Coolpix 4500. The maximum exposure for minimal noise is about 20s, due to blur that occurs with the Earth's rotation. Click on an image for the full-size version. Here are normal pics I took early on the morning of 2009/08/26, with my Nikon Coolpix 4500. These are just the 20s exposures. 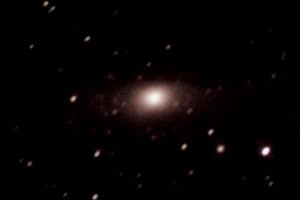 At this exposure, the magnitude limit appears to be about 5. Click on an image for the full-size version. Here are some pictures that I took of the planet Jupiter on the morning of October 19/2003. I wanted to grab some shots of these 'old favorites' before the temperatures became too uncomfotable. 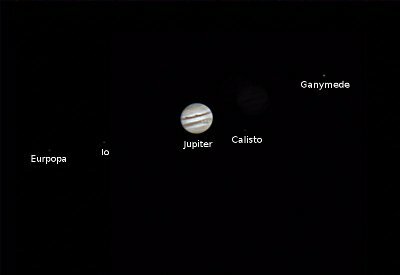 I found that taking these pictures of Jupiter and Saturn were much more difficult that those I took earlier in the fall of Mars. 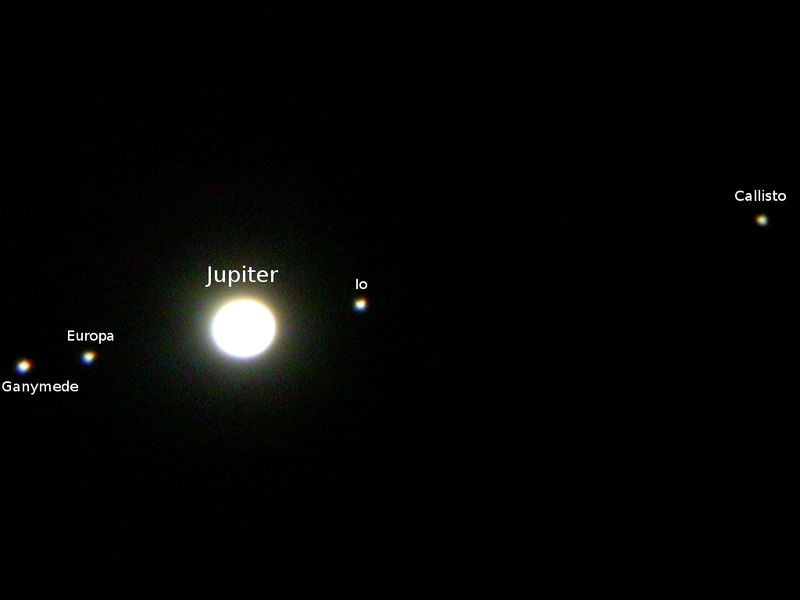 Jupiter was 6.0419 AU (903855374 km) from the Earth. 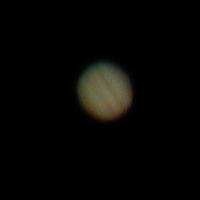 Here are some Jupiter pics that I took the next morning (October 20/2003). 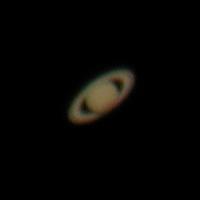 Now that I had realized that sky conditions and eyepiece focus were even more important than exposure, I tried again and got better results. 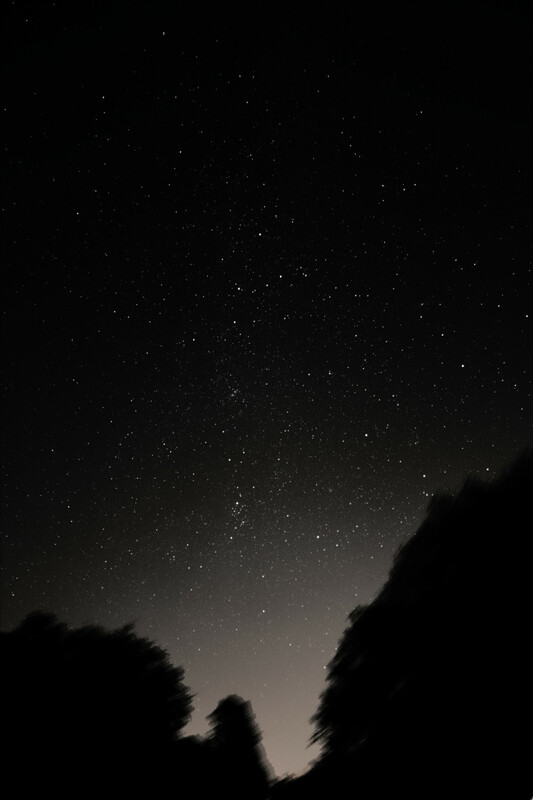 This is more by accident than skill, though, since it is almost impossible to focus properly using the preview screen on the digital camera (the image is too tiny). 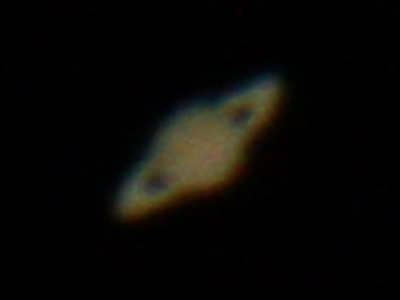 Here are some pictures that I took of the planet Saturn on the morning of October 19/2003. 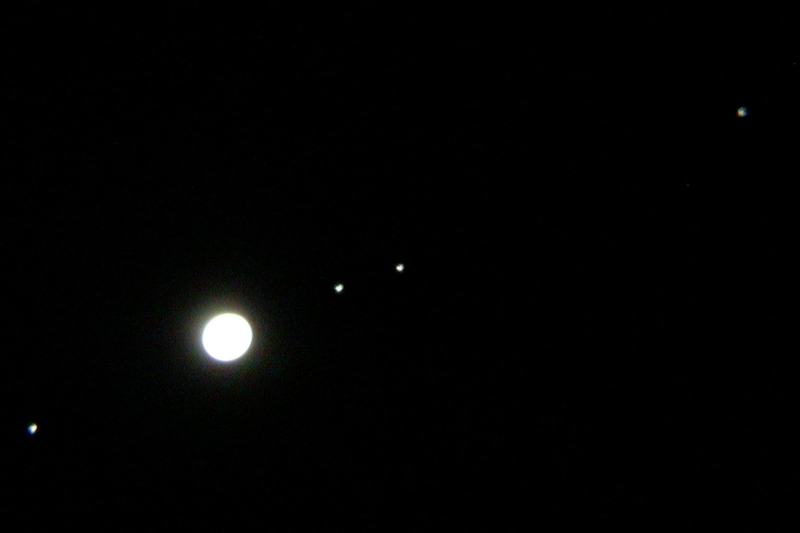 I got these at the same time as the Jupiter pics above. 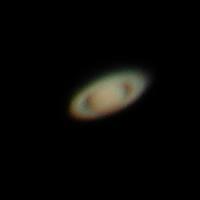 Saturn was 8.7543 AU (1309624639 km) from the Earth. 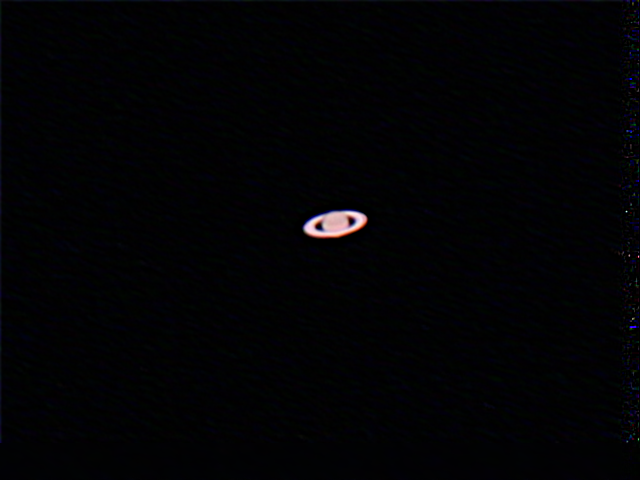 Here are some Saturn pics that I took the next morning (October 20/2003). 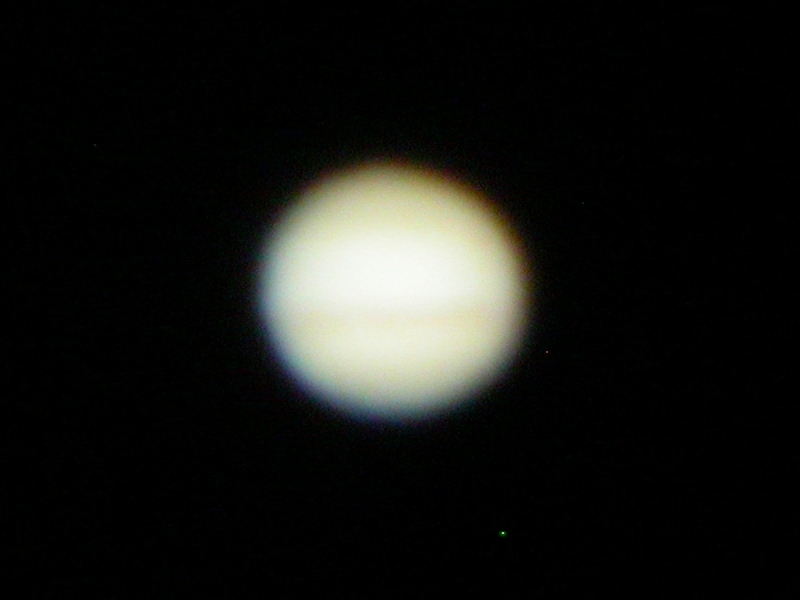 The same story applies here to the Jupiter pics mentioned above -- but the results are even better for Saturn! 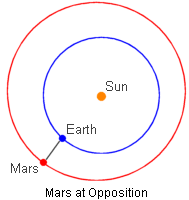 At 04:51 CDT on the morning of August 27/2003, Mars was within 55758006 km (34646418 miles) of Earth. This is the closest that it has been in over 73000 years! 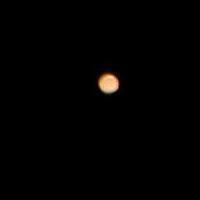 My first lesson was not to put the digital camera into 'auto-exposure' mode -- the camera over-compensates for the dark image, and you end up with mars images that look like little suns. The 2.5x zoom on the camera was impressive, though. 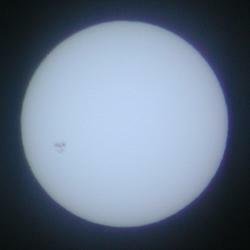 The effective magnification is 68 (telescope) x 2.5 (camera) = 170x. 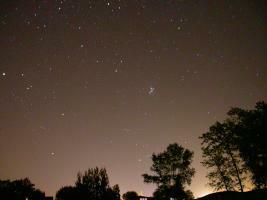 Having learned that auto-exposure was not appropriate, I tried manual exposure mode without any zooming. The default setting of 1/125 seconds, F2.9, and ISO 100 seems just about perfect for this situation. 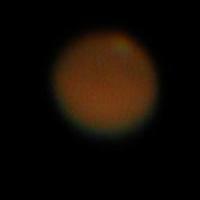 The image of Mars on the viewfinder was extremely small, but actually the images turned out to be not too bad! 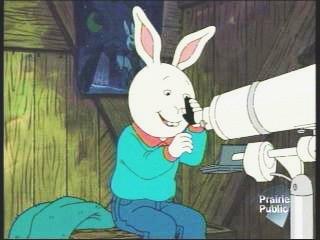 The effective magnification is 68x (telescope) x 1 (camera) = 68x. My next shots were with the full 2.5x zoom. For safety, I decided to use the exposure 'bracketing' feature so that I would get a range of exposures around the default value. As it turns out, the images on the '+' side turned out to be the best of all, in my opinion. 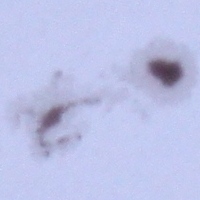 The effective magnification is 68 (telescope) x 2.5 (camera) = 170x. The next day, during 01:30 to 03:30 August 27/2003, I took my final round of pictures -- this time clicking until my battery ran out. 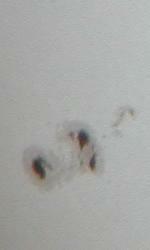 With a great deal of patience, I managed to get some pics out my the extremely narrow field of my 7mm (290x) eyepiece. 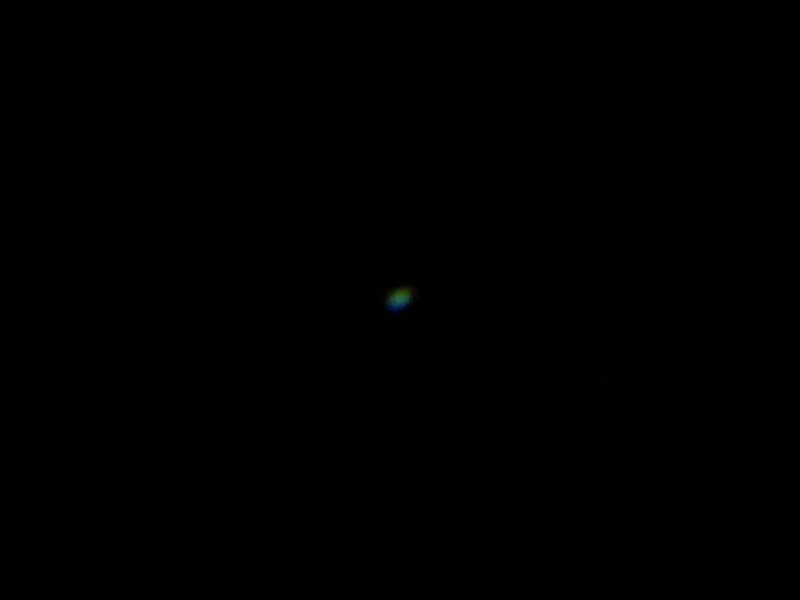 Since I (inadvertently) has a moderate amount of zoom activated, the effective magnification is 290 (telescope) x 1.73 (camera) = 504x. 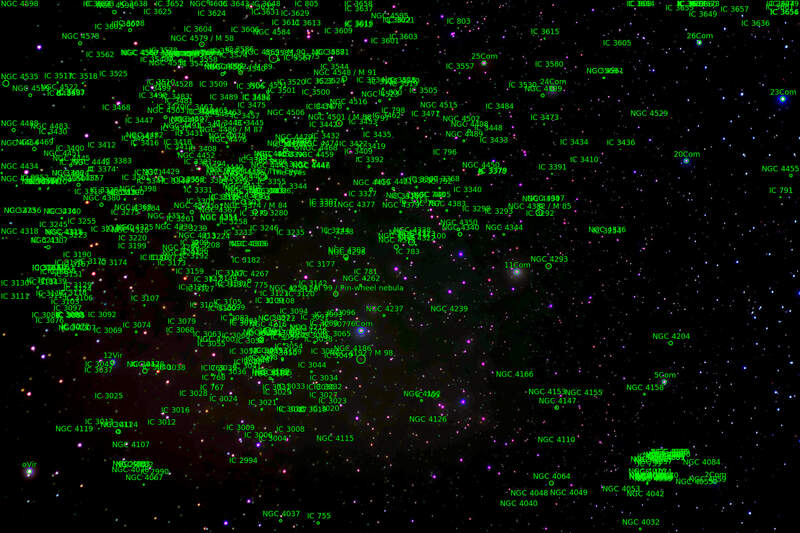 This is just over the 480x limit of the optics involved. In my final round of pictures, I managed to push the limits of both the camera, telescope, and my skill. The effective magnification is 290 (telescope) x 2.5 (camera) = 725x. 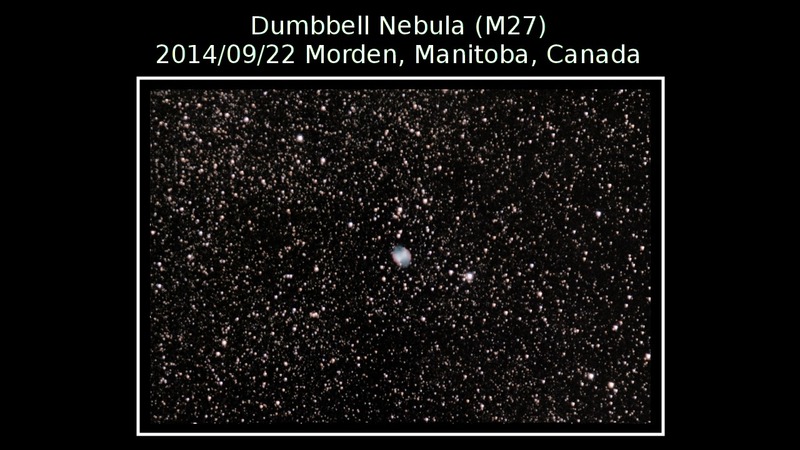 This is well beyond the practical 480x limit of the telescope, but shows what can be done. Here is a small experimental photograph of the Sun taken on October 20/2003. 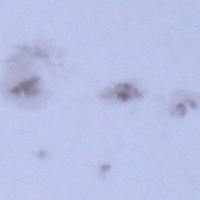 The picture was taken though my digital camera with the 8x CrystalVue SharpShooter monocular, combined with the camera's 2.5x zoom (combined total of 20x zoom). On the front of the monocular, I taped the filter that I used to visually observe the 1979 solar eclipse (yes, over 24 years ago!). The image is very disappointing. 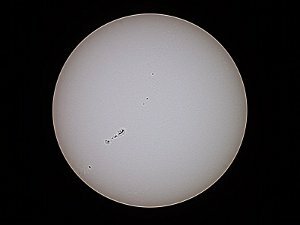 This next shot was taken on November 1/2003, except this time it was taken through my big scope with a Baader solar filter (ND=5.0 for 100000x reduction in light intensity) from Kendrick Astro Instruments. The improvement in resolution is substantial. 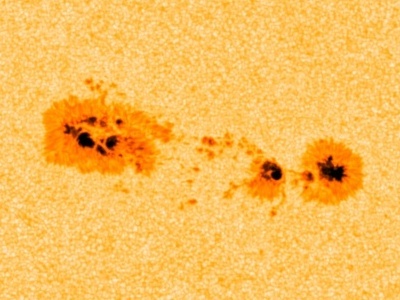 The closeups of the sunspots are not enlargements -- they are direct digital crops from the original. 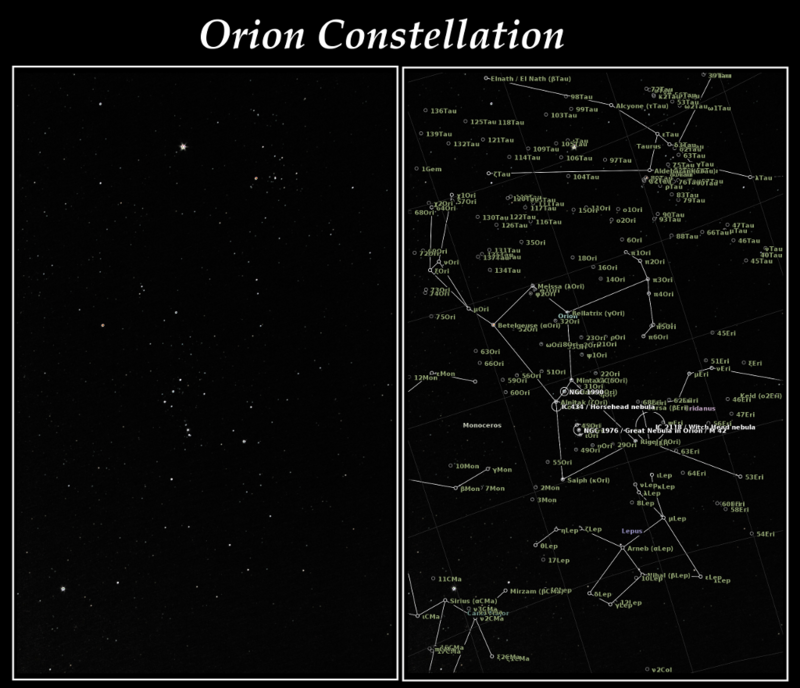 Click on the first image for a link to the full-sized version. 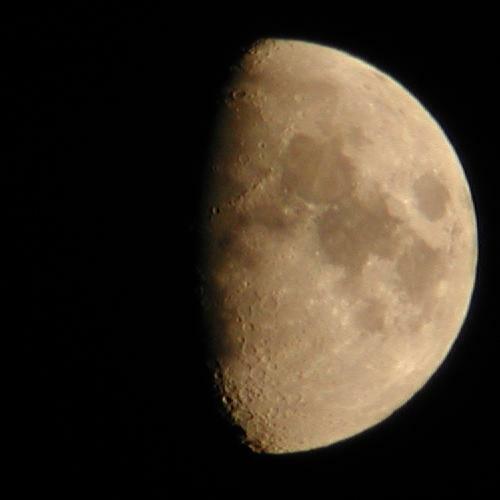 A quick snap of the Moon (in waxing phase) taken the evening of September 4/2003 with the 8x CrystalVue SharpShooter monocular, combined with the camera's 2.5x zoom (combined total of 20x zoom). 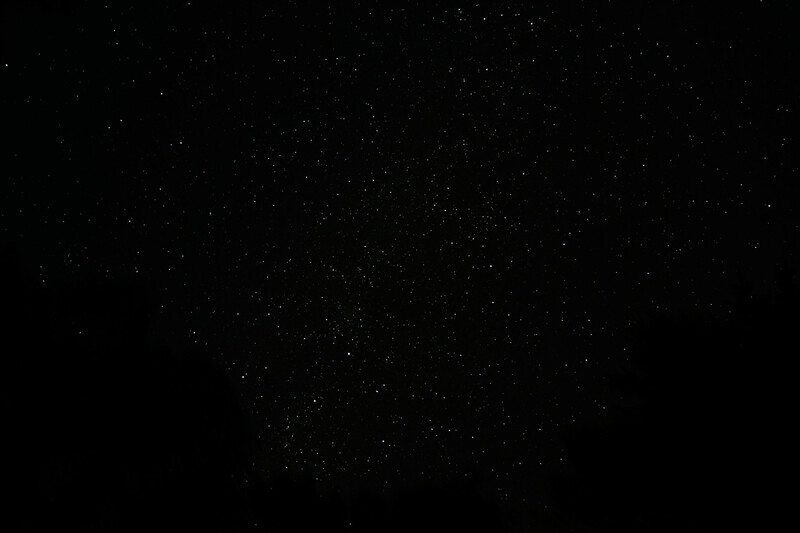 I reduced the exposure to bring out more detail. The final exposure was 1/60 seconds F4.2 ISO100 20mm. 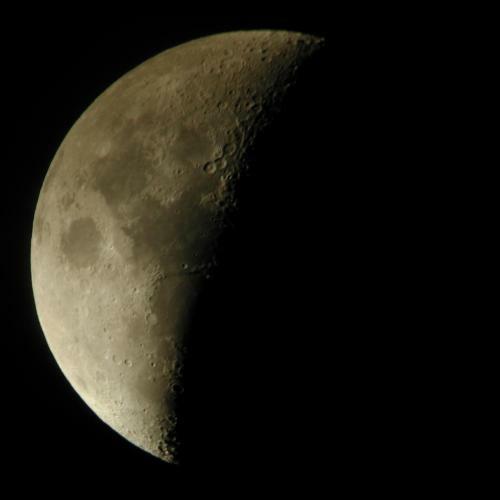 This picture of the Moon (in waning phase) was taken the evening of November 30/2003 with my large telescope and the 30mm eyepiece. 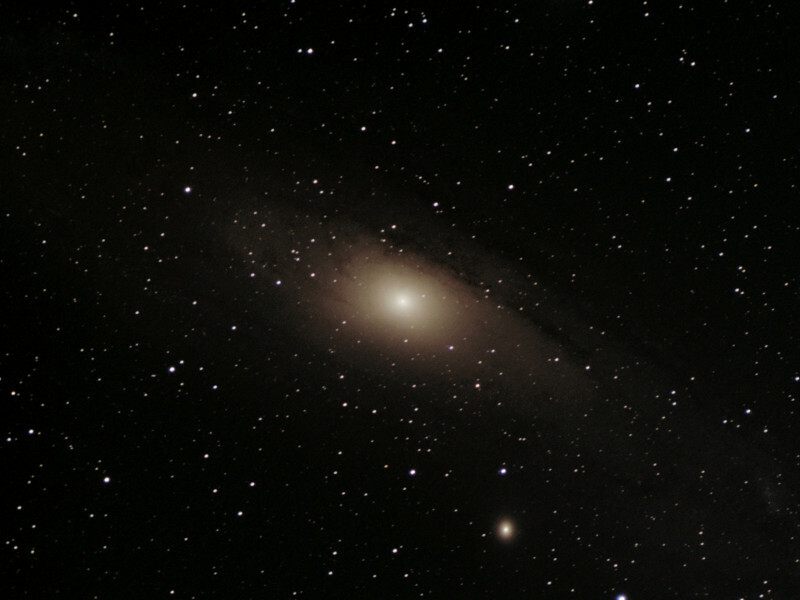 There was no camera zoom involved, and the image was reduced in size by 2/3. 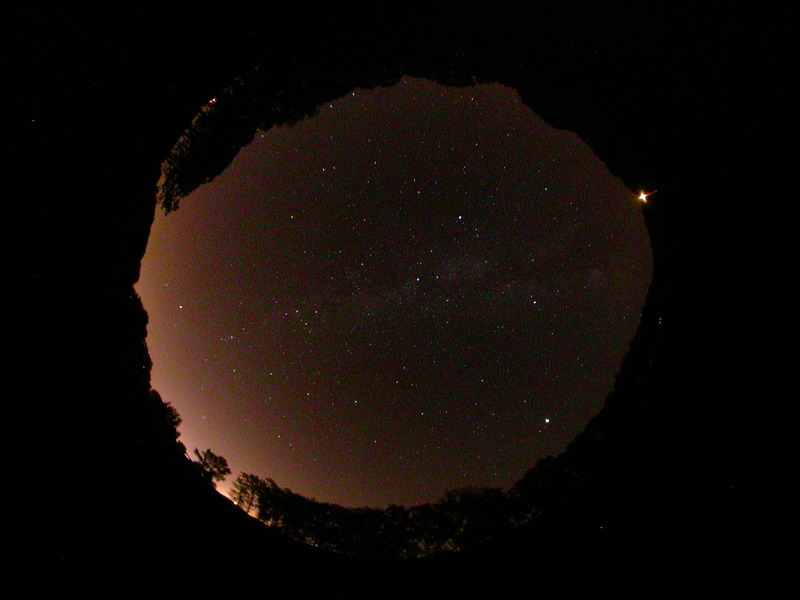 The exposure was 1/60 seconds F2.8 ISO100 8mm. This picture of the Moon (in waning phase) was taken the same evening of November 30/2003 with my large telescope and my new 18mm eyepiece. 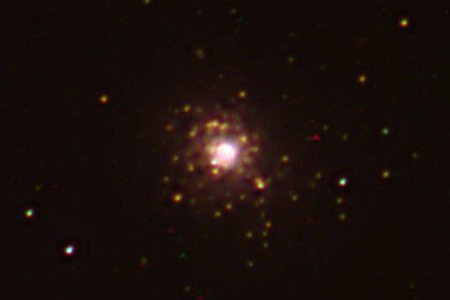 There was no camera zoom involved, and the image was reduced in size by 2/3. The exposure was 1/125 seconds F2.8 ISO100 8mm. 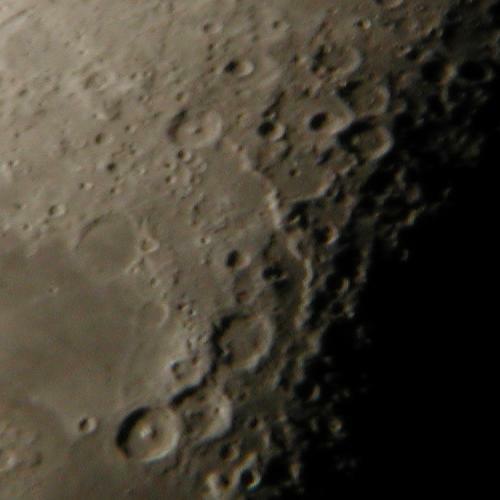 This closeup picture of some Moon craters was taken the same evening of November 30/2003 with my large telescope and my new 18mm eyepiece. There was no camera zoom involved and no image size reduction. The exposure was 1/125 seconds F2.8 ISO100 8mm. 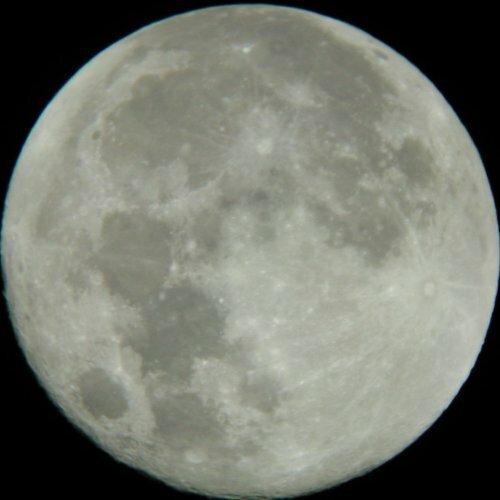 This full moon was taken on September 29/2004 with my medium 'Orbitor' telescope with my 18mm eyepiece. The image was reduced about 3x. 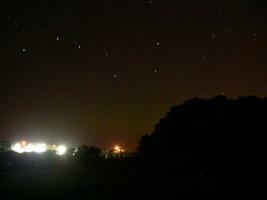 The exposure was 1/85.5 seconds F2.8 ISO100 8mm. 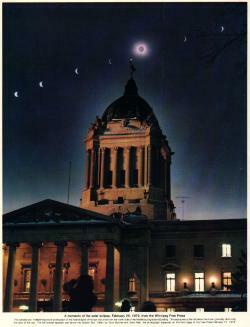 These are pics of my the solar eclipse that took place in Manitoba in February 26/1979. This was one of the few times in my entire life that I 'skipped school'. Taking pictures of this event was far more important than being in school (grade 11) that day. 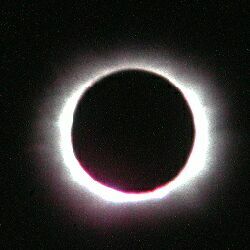 I was 16, with a cheap SLR camera and an army surplus telescopic lens, but a lot of enthusiasm! 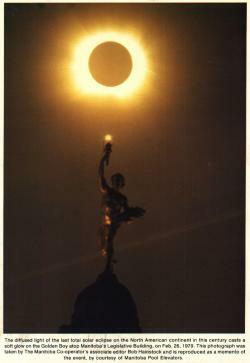 These are some pics of the solar eclipse from the print media at the time (Winnipeg Free Press and Manitoba Cooperator). Way back, when I was 13 or so, I noticed an ad for a used telescope in our local newspaper -- surprising since a lived in a small town. 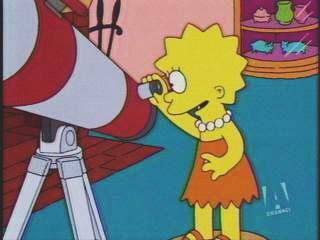 After some appropriate begging and pleading, I was soon the proud owner of my own telescope: a Bushnell Sky Chief Jr! It was an achromatic refractor-style 60mm aperature scope with two eyepieces, a 2x barlow, a right-angle viewer, and a (dangerous!) eyepiece-attached sun filter, all on a wooden alt/az tripod. I spent many hours with that scope, even trying to take some long-exposure film-based SLR photos -- even though the mount was inappropriate. 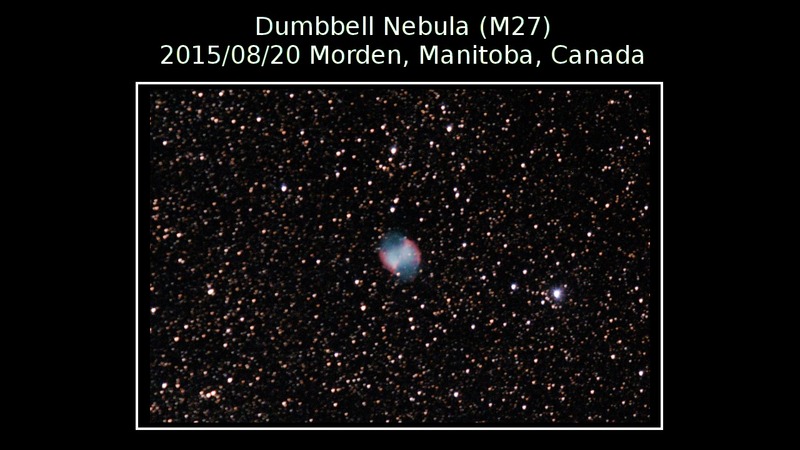 My main telescope was purchased in October/1990 from a now-defunct Manitoba company named "Cosmic Connection". I love it, but hardly use it, since city lights are a major nuisance. It lacks a computer control and/or interface, which is what I would want if I were to purchase a new one some day. 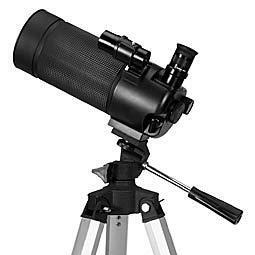 The telescope is great, with a heavy duty mount and tripod -- which you take for granted until you compare it to the typical telescope mounts that you see on 'department store' telescopes! It is rather heavy and bulky to move around, which is why I was interested in a smaller (but high-quality) scope for 'quick peeks' (see below). 1989 saw the introduction of the Ultima line. 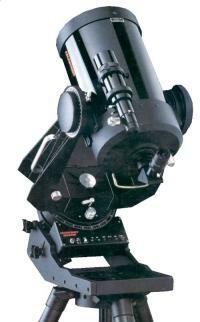 The Ultima 8 telescope is arguably one of the most stable commercially built SCTs for the amateur. Apporpriately it is also one of the heaviest. 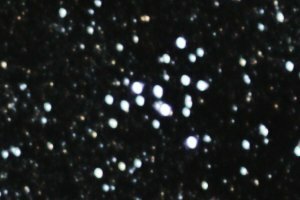 This line maintained the same basic "Starbright" multi-coated optics of previous models in redesigned castings for the optical tube. This is coupled to a redesigned, heavier fork mount with carrying handles and a large 2 5/8" diameter polar shaft. The initial drive system was unique, but with some deficiencies. 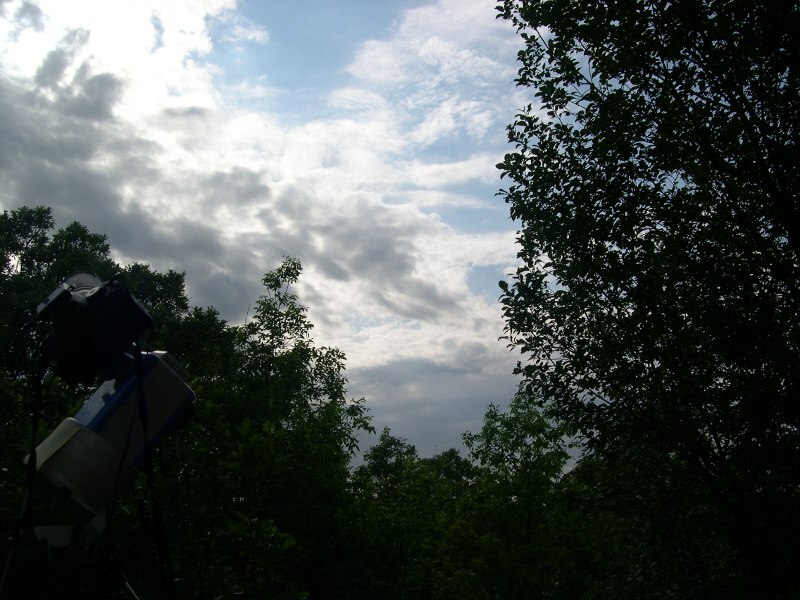 The telescope was driven by an AC motor, run by a high efficiency quartz locked inverter. This, in turn, was powered by internal, rechargeable, lead acid batteries. Although this resulted in a fairly long lasting power supply and did not involve replacing batteries, some of the advantages of the DC drive used on the Powerstars were lost. 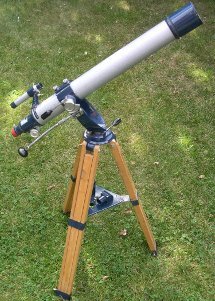 Standard accessories included a heavy duty wedge and tripod, 1 1/4" star diagonal and eyepiece and an 8x50 polar finder. 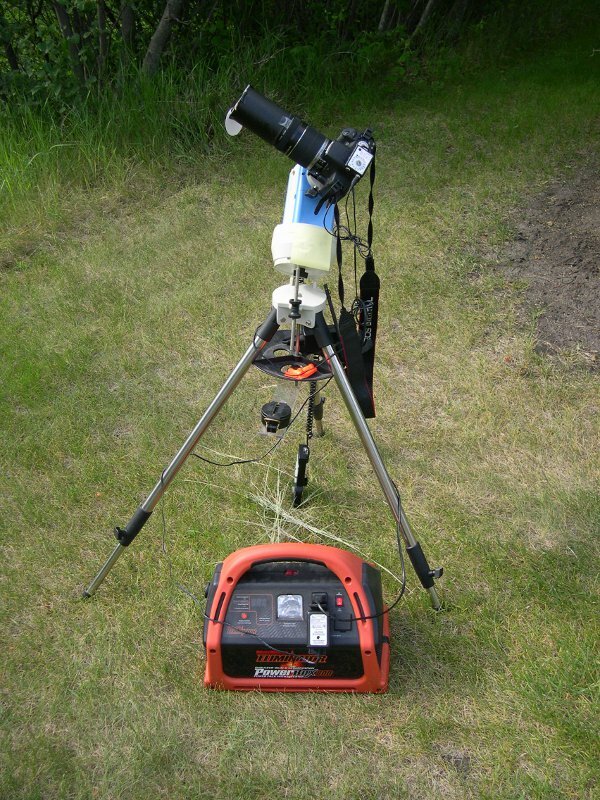 A heavy duty, high impact molded plastic carrying case provided good protection for the telescope. The very next year, the rechargable battery was replaced with a 9 volt alkaline battery and the drive was replaced by true DC motors and a microprocessor. 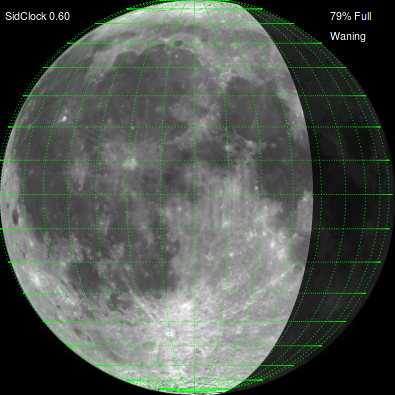 The processor allowed four digitally controlled drive rates, including solar, lunar, siderial and King. 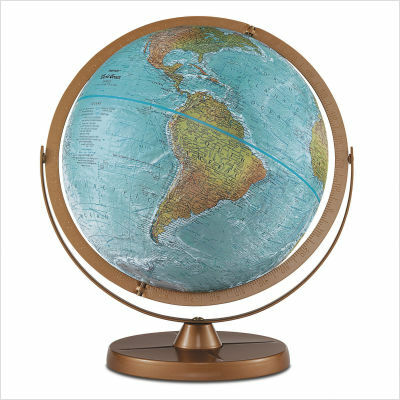 It also allowed use in both hemispheres just by flipping a switch as well as the addition of Periodic Error Correction (PEC). This electronic wizardry was a great benefit to astrophotographers, allowing them to track almost any object and to "train" the drive to automatically counteract the errors that are inherent in any gear system. 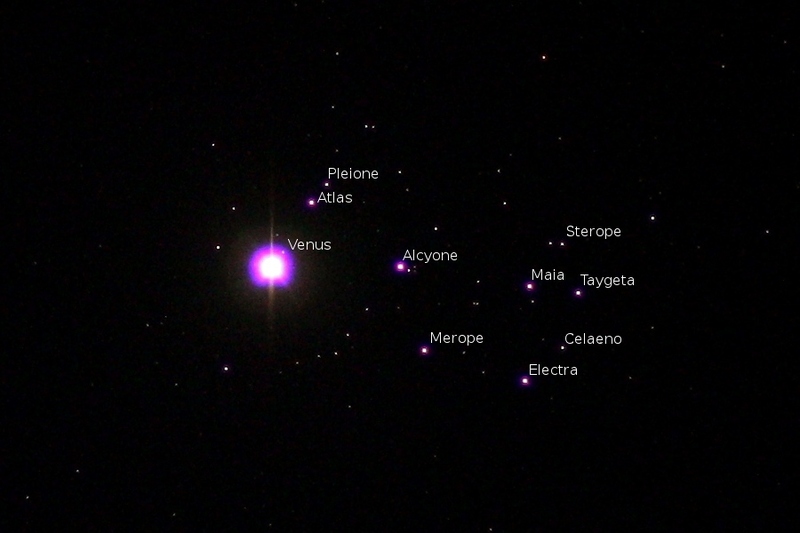 While even the basic system without PEC was extremely accurate, enough to allow unguided piggyback photography with as much as a 500mm lens, using the new feature further reduced guiding effort for photography. A minor irritation to some was that the PEC training was lost each time you turned off the telescope. There was, of course, a tradeoff between losing precious dark time and assuring that each PEC training session addressed the situations peculiar to that setup. The hand control box, optional on the initial units, was now made standard. 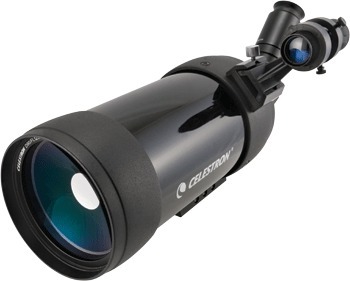 Efforts by Celestron to take in the comments of the meeting in 1987 produced what are fundamentally two of the best engineered 8 inch SCT made in the 20th centruy: the Ultima 8 and the Utima 8 PEC. These reliable telescopes featured comparatively massive Fork Mounts incorporating large bearings and a precision Byers worm gear drive set. The Ultima 8 base housed two cylindrical rechargeable lead acid batteries; this was a product first offered by Roger Tuthill as a retrofit for older telescopes. These telescopes had the capability to operate off external 12 volts DC sources, a wonderfully rigid and easy to adjust Equatorial Wedge. And yes, it had carrying handles on the Fork Tines and hand control knobs that could be operated even when wearing gloves. The provided 50mm Finder and the hard shell but light weight carrying case are still missed by us who recall these telescopes. The Ultima 8 PEC followed with some improvements, including the capability to operate off an internal 9 volt battery that is easy to find in stores, but not changed as easily as we'd like in a cold dark night. 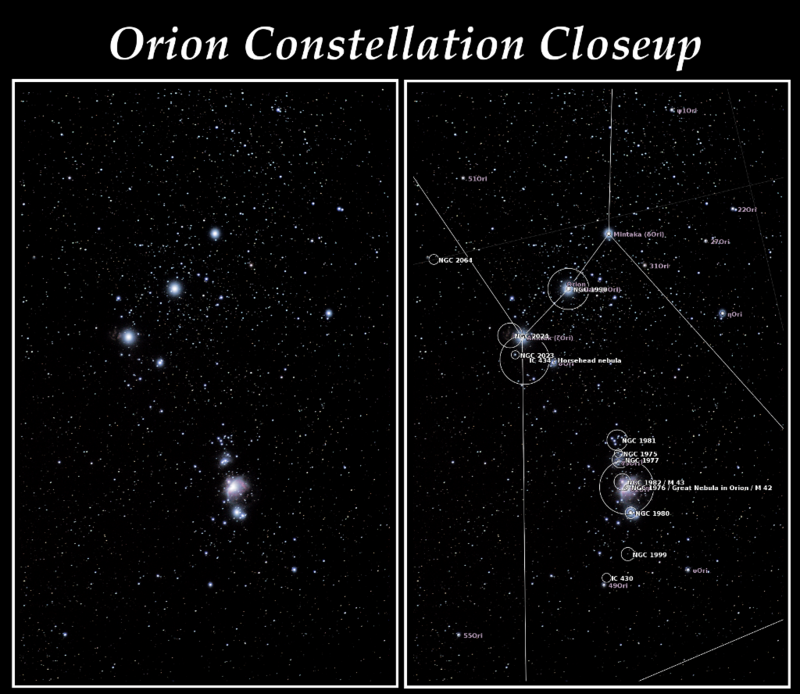 Celestron introduced "PEC" (Periodic Error Correction) circuitry with the Ultima 8 PEC telescope. 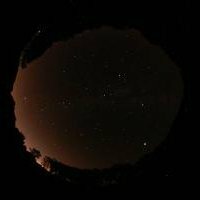 These telescopes could be programmed by the user before starting to take astrophotos with an easy 4 minute recording cycle, this dramatically reduced the amplitude of periodic errors that occur when a telescope relies on a worm gear set for tracking. This meant the telescopes could take better images without spending the costs associated with larger and heaver precision worm gear and wheel sets. 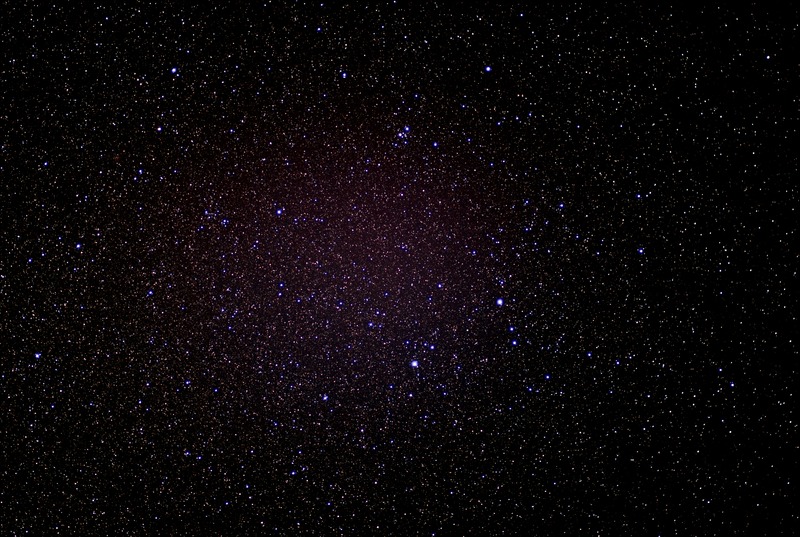 In a Sky & Telescope review of 8" Schmidt-Cassegrains, it was noted, "the Ultima 8's drive error was the least I have ever seen in a mass-market telescope." 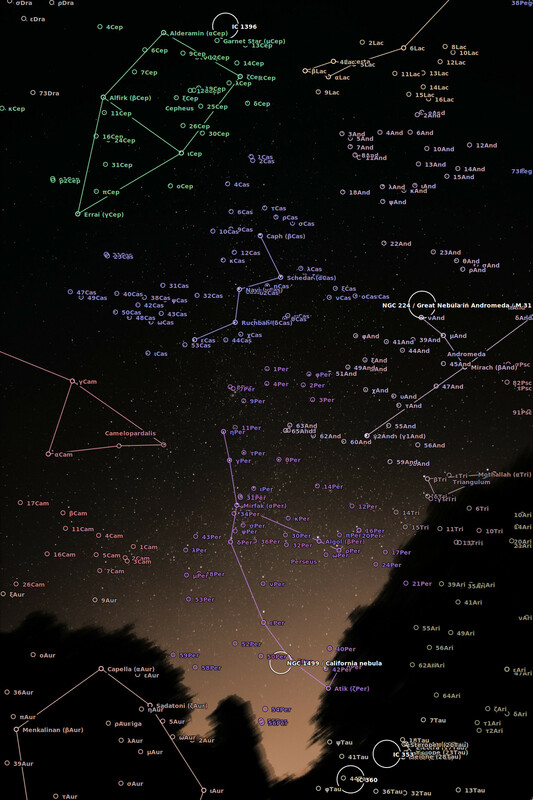 Astronomy Magazine said of the drive, "a textbook straight line" and "the PEC is impressive. It worked better than advertised." 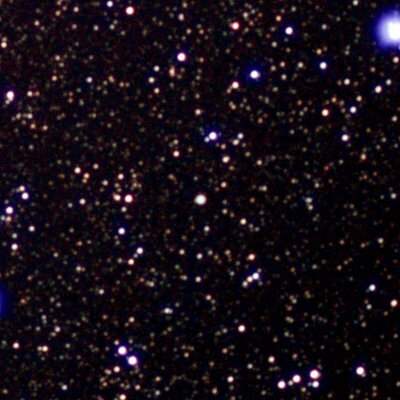 PEC would soon be offered in some third party Drive Correctors, while Meade and others would follow this path opened by Celestron. My most recent mini-telescope purchased in April 2004 from a liquidation store named XS-Cargo. 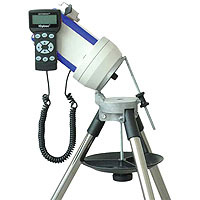 Since this particular model uses an alt-azimuth mount, it really is more of a 'spotting' scope than an astronomy telescope, but it is still great for 'quick looks' at anything, and the 1.25" eyepieces are interchangable with the Ultima ones above. 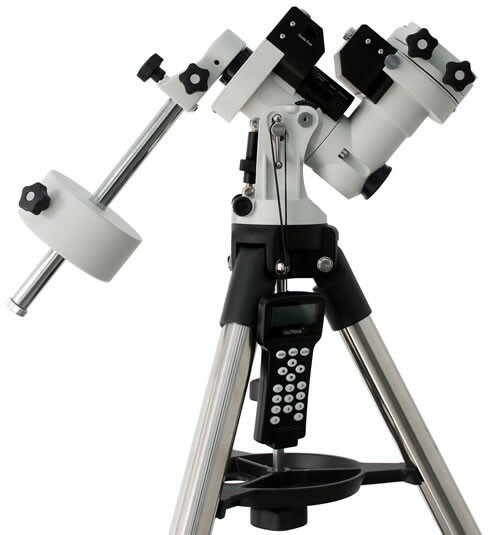 The manual for this Chinese-made telescope does not mention the manufacturer, but I have determined that this Orbitor OR3900 is marketed by Citiwell International Inc.. 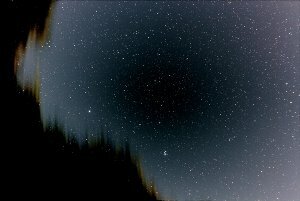 They also market telescopes for National Geographic, which explains why this same telescope is sometimes seen with the National Geographic logo on it. 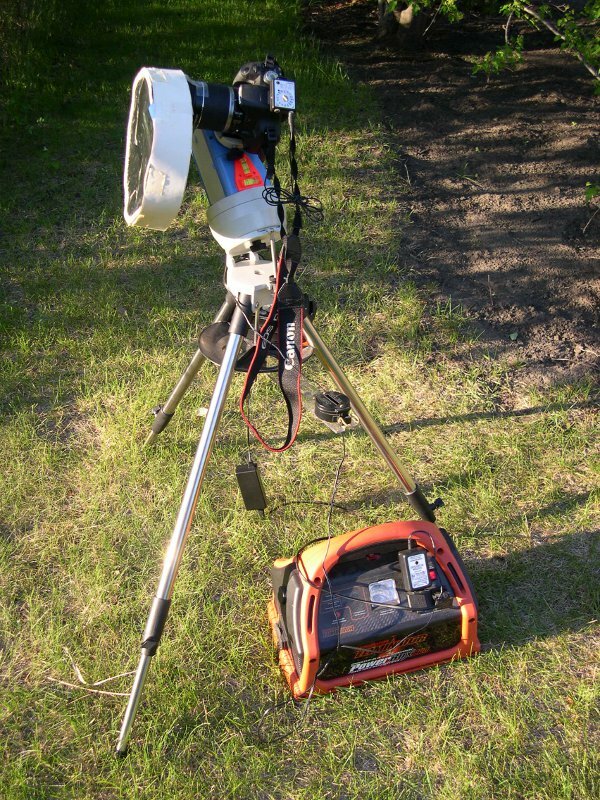 Having lacked any sort of computer/GOTO/digital telescope control for my entire astronomical life (due to the high expense that historically occurred), I was very pleased to find a used iOptron SmartStar-A GOTO telescope mount on the useful Canadian AstroBuySell site in September 2009 -- and even better it was a fellow from my own province! 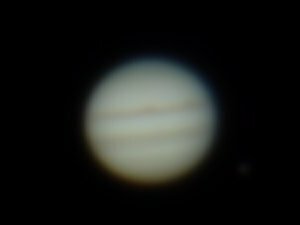 I was curious about the quality of the Celestron version of my 2004 'Orbitor' Maksutov-Cassegrain, especially considering that it was noted as having 'built-in' T-threads -- matching my Canon T1i and its T-ring adapter. 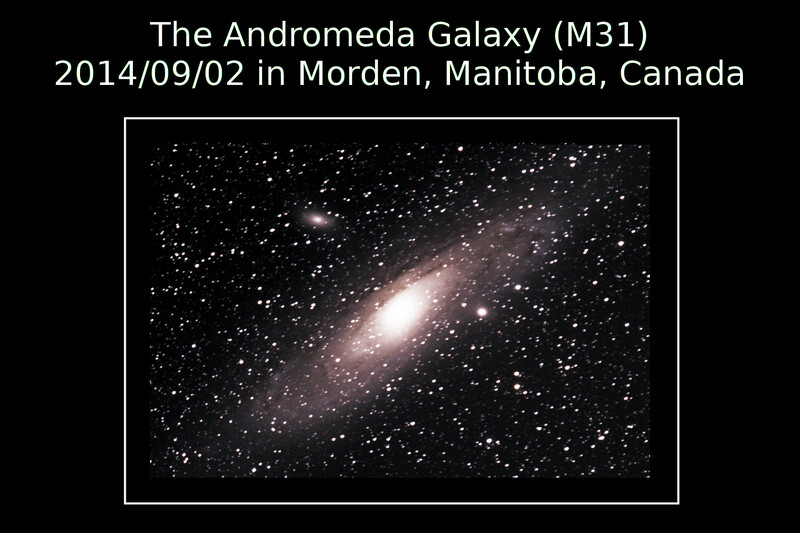 I purchased it as a used item on the useful Canadian AstroBuySell site in July 2011. It works! 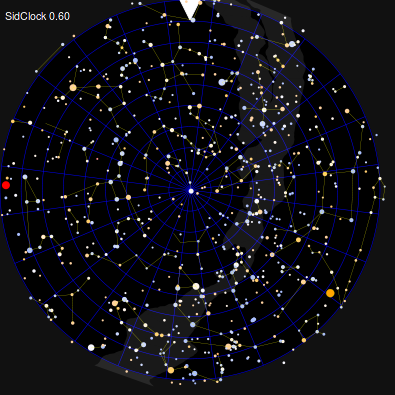 My own contribution to a cross-platform web browser-based astronomy is an HTML5-based app named SidClock. 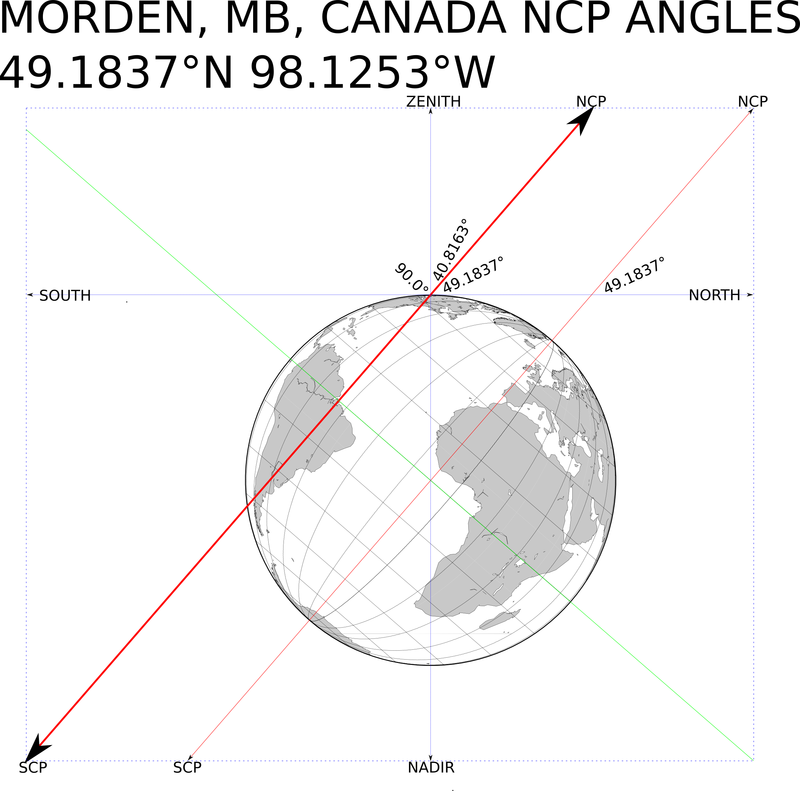 Nice simple java applet to display the local sidereal time (LST) for Morden from the Java LST Clock website. 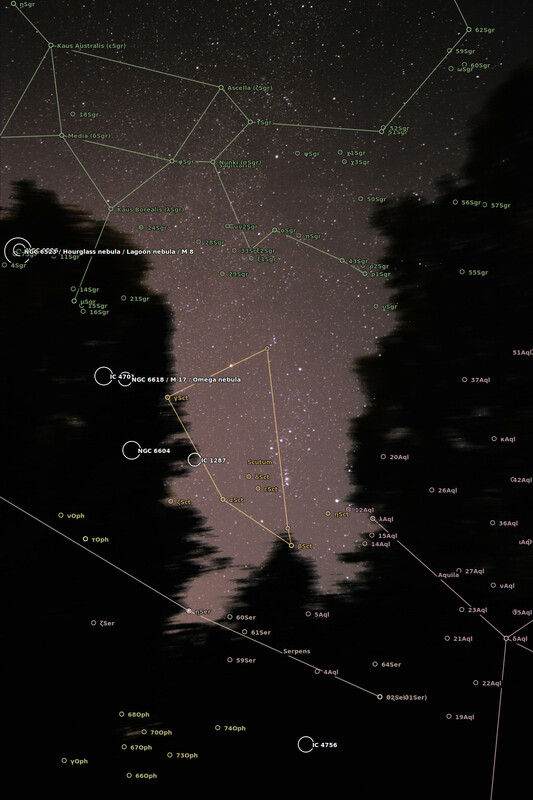 This nifty Adobe Flash applet is useful for setting the polar alignment of a telescope, and is from the Takahashi-Europe website. 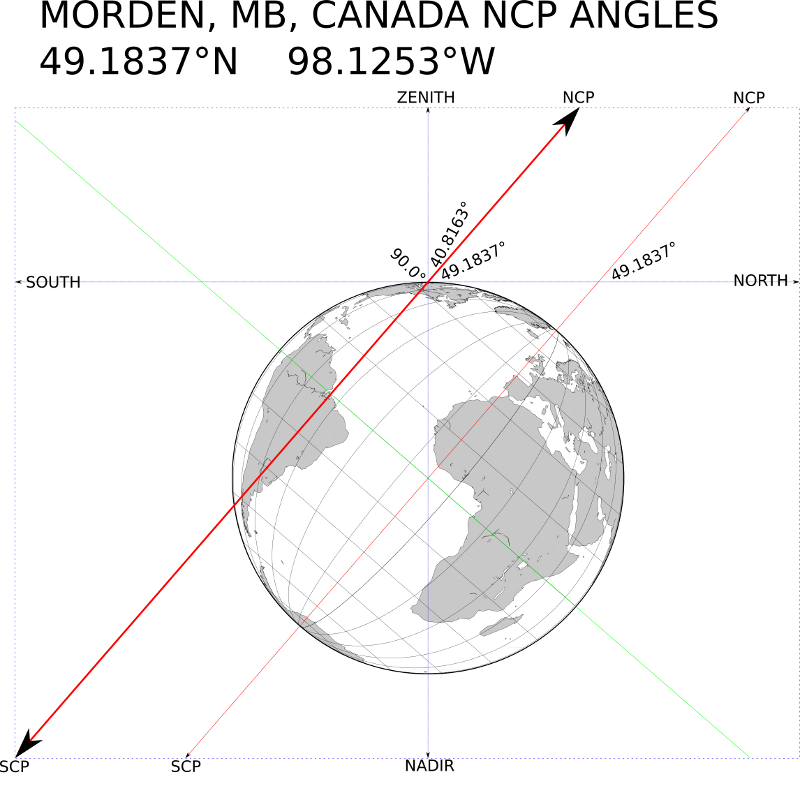 1) Optionally click on the 'SYSTEM UT' to set the current time from your computer, 2) set the latitude/longitude to your own location ('Morden, Manitoba, Canada' is the default), set date/time (if you want different from your computer time), and 3) finally click 'CALCULATE' for the final plot. 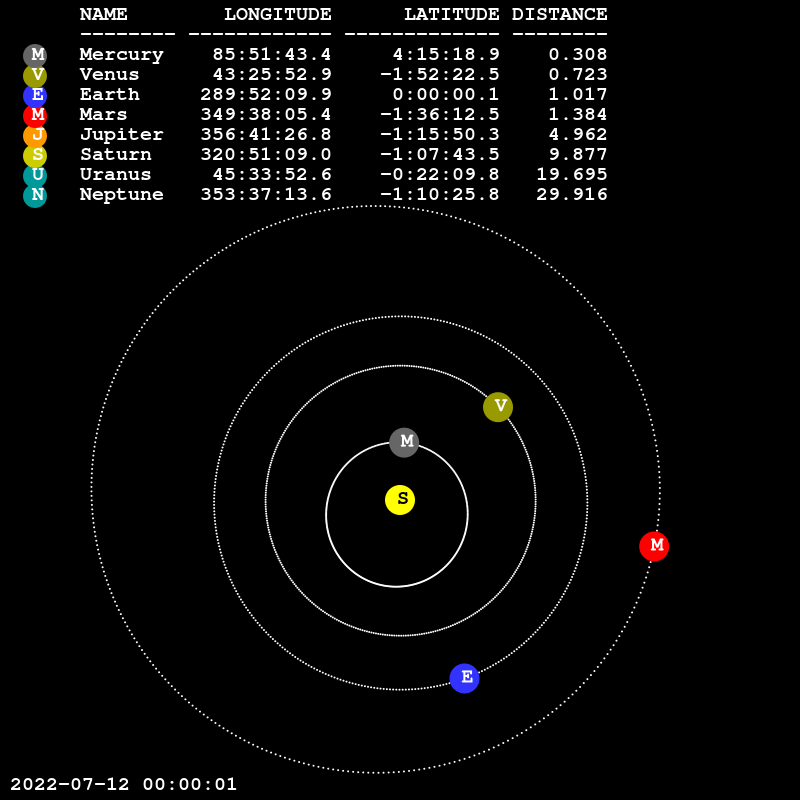 This cool java applet is named OrbitViewer and was written by Osamu Ajiki (AstroArts Inc.) and modified by Ron Baalke (NASA/JPL). 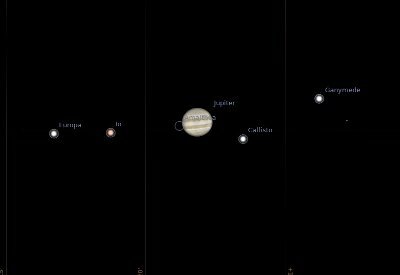 It can show you the orientation of the planets of our solar system for any date and scale that you want! 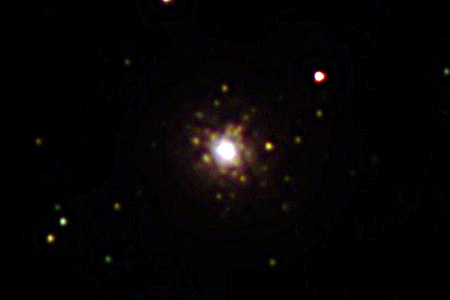 Click here for a larger view. 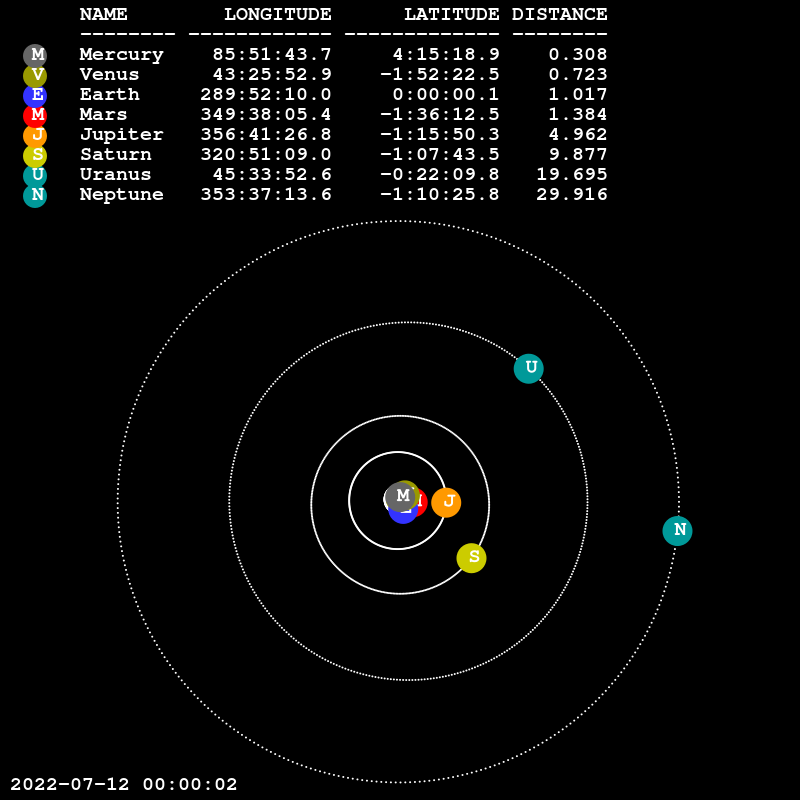 This java applet is named PlanetFinder and was written by Benjamin Crowell. 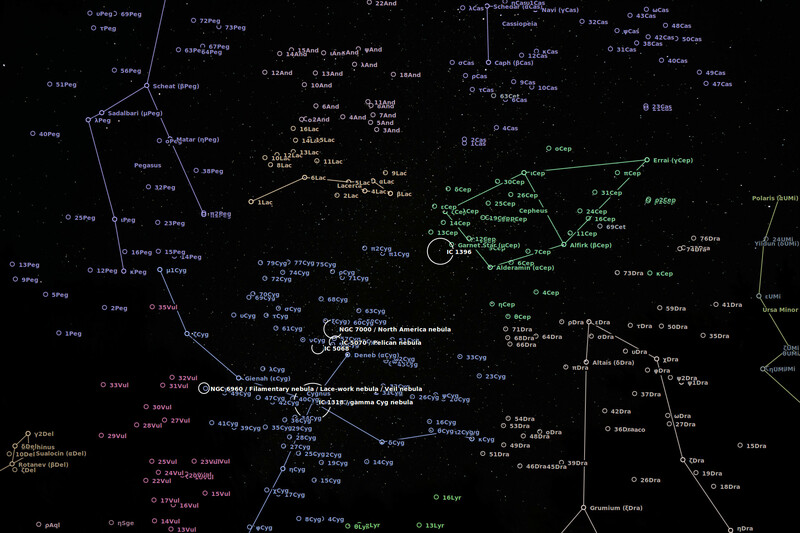 It is useful for identifying planets in the sky. 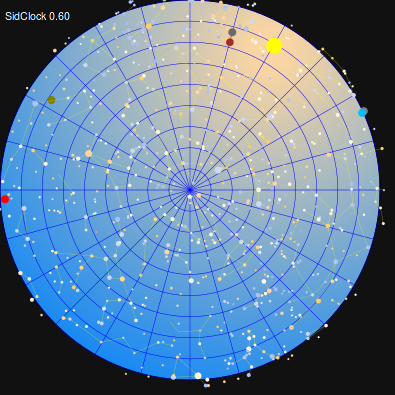 This java applet is named SunClock and was written by James Elliot. 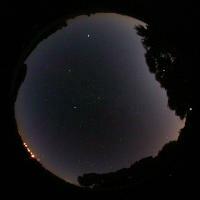 It is useful for tracking the day/night terminator on the Earth. 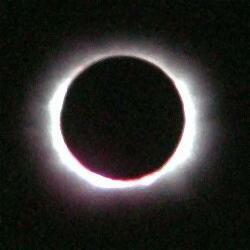 If you can see this text, your browser does not support Java, and you will not be able to see the SunClock applet. This java applet is named yesClock and was written by Germaine Software. It is useful for showing where in the day you are rather than just the time. 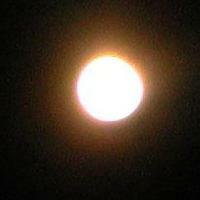 This java applet is named MoonCalendar. 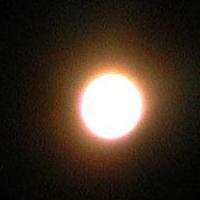 It is useful for knowing the phases of the Moon for the future month. 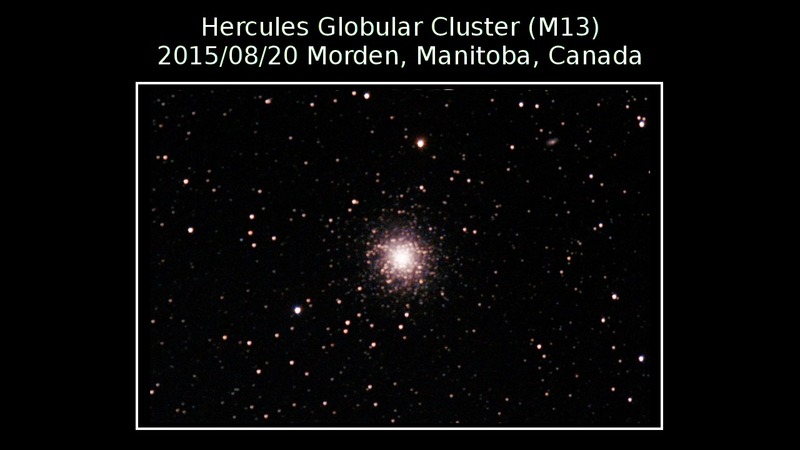 Thanks to Attilla Danko for adding Morden to his Clear Sky Chart database! 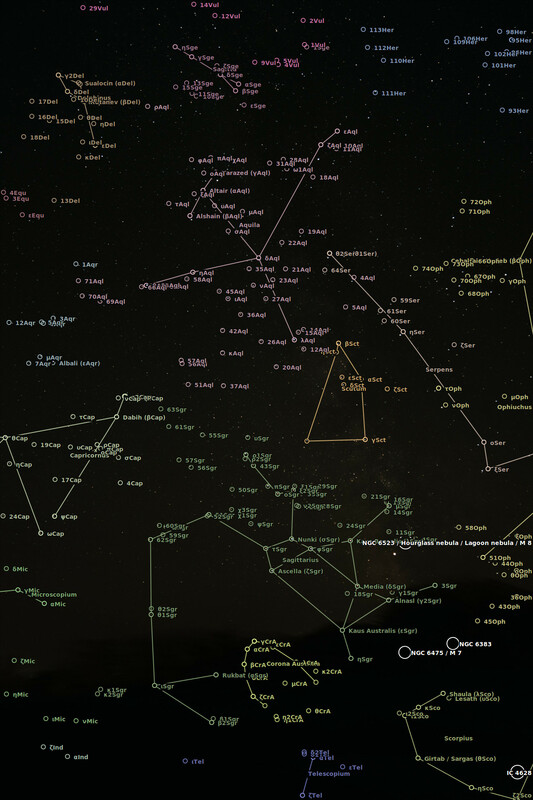 You can manually zoom in/out, and you can also chose between different background map types. 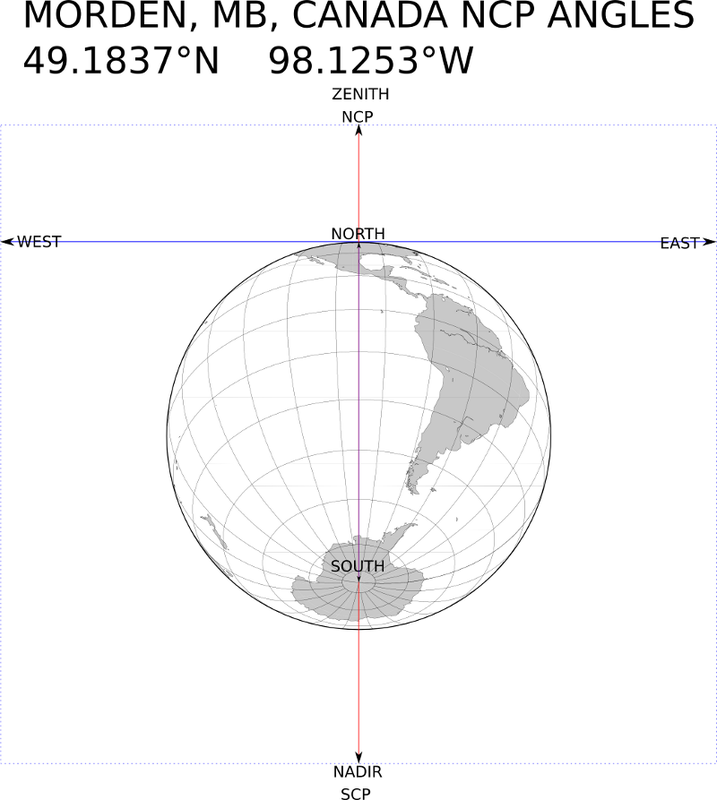 For an OpenStreetMap version of the same map, see here. Using data for my city, and Gnuplot, I was able to create this Sun Rise/Set graph for the entire year at a glance. 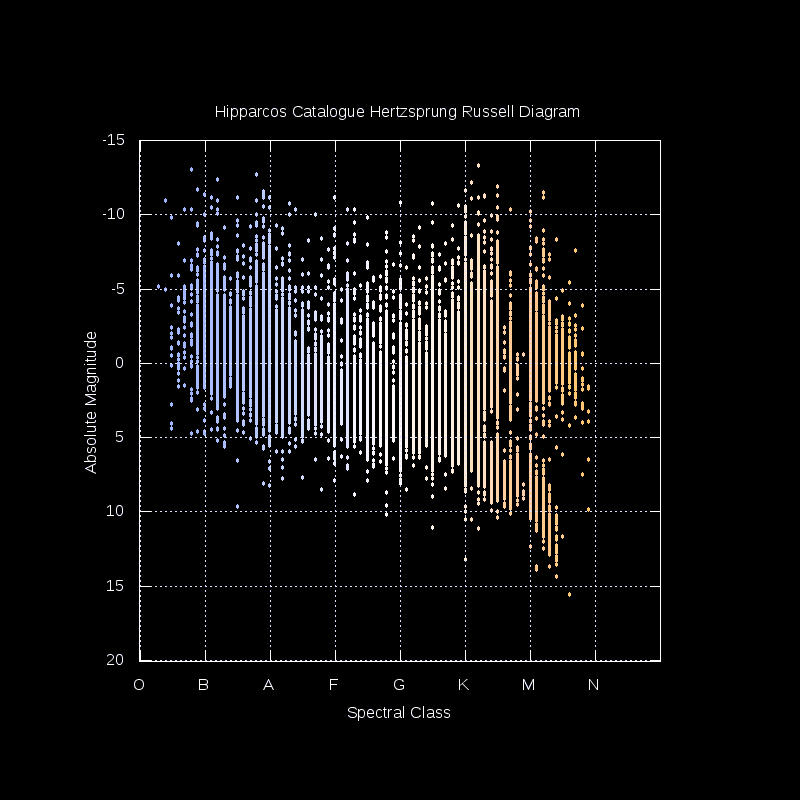 Back in 1981, in my 2nd year of a university Computer Science degree, my friend and I decided to wite a program (in the 'APL' language, the only one we had available at the time to do 'graphics' plotting, and on 'paper' yet) to plot the famous 'Hertzsprung-Russell' diagram, which illustrates the correlation between star luminosity and temperature. I don't recall ever completing the job (owing to the tedious effort to enter all the data manually). 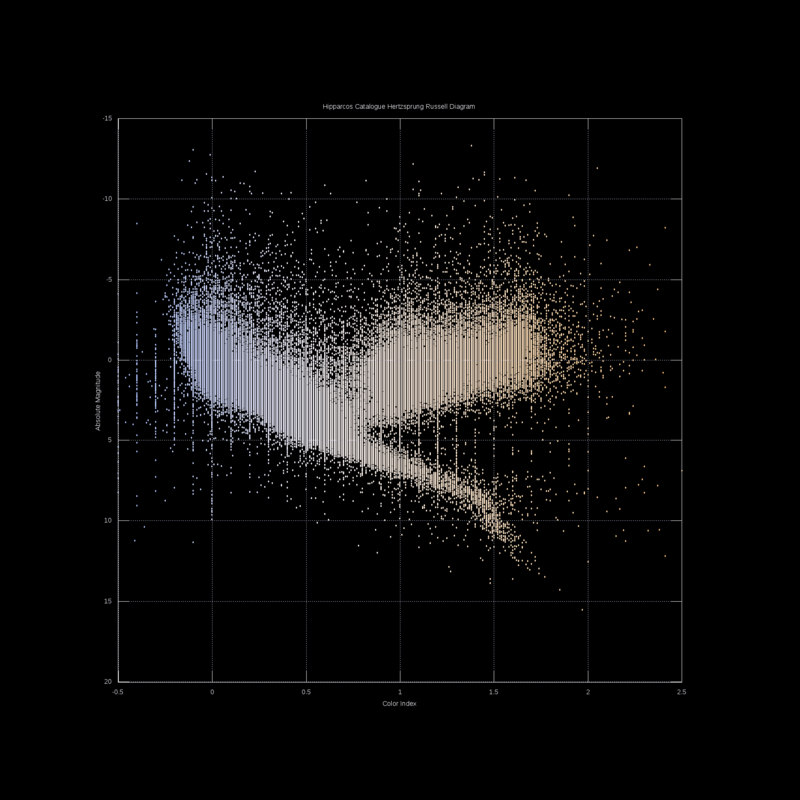 Now, 30 years later (2011), I finally took the time to extract the data from the Hipparcos catalog, clean and manipulate the data (down to 106509 objects), and use GNUPlot to plot the result -- and here it is! 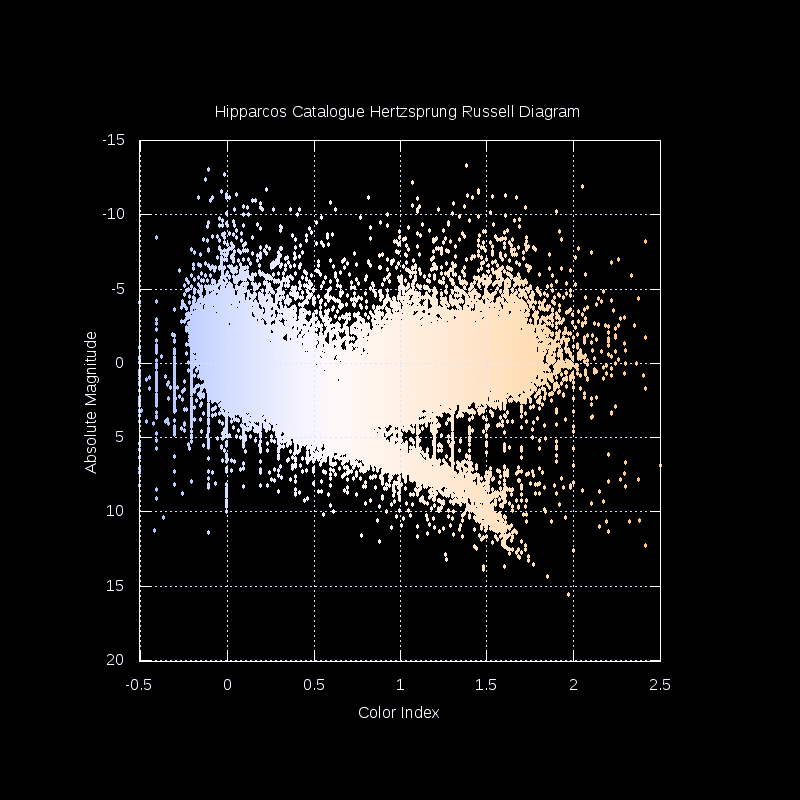 My thanks also go to this page for approximating the plotting color to use for the various color spectra. This page was also useful. 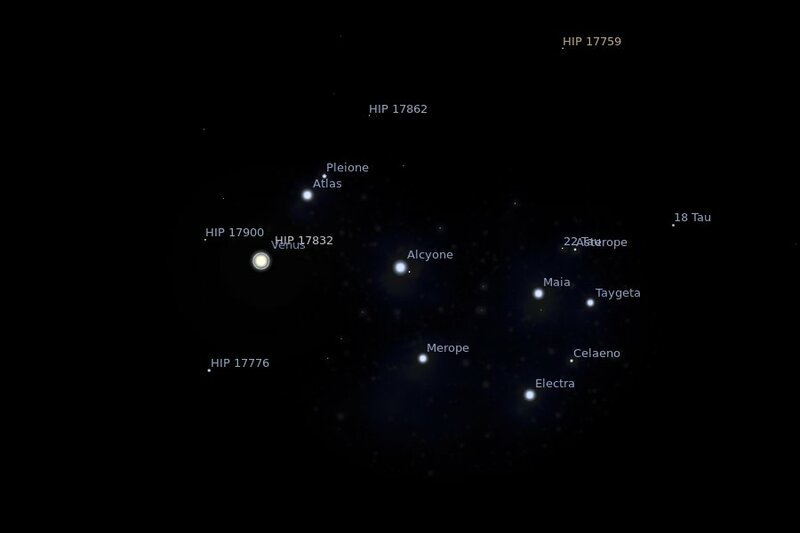 In this diagram, hot/bright/blue/giant stars live in the upper left, and cool/dim/red/dwarf stars live in the lower right. White dwarf (hot/dim) stars are in the lower left, and red giant (cool/bright) stars are in the upper right. Here is the Wikipedia article to help explain. 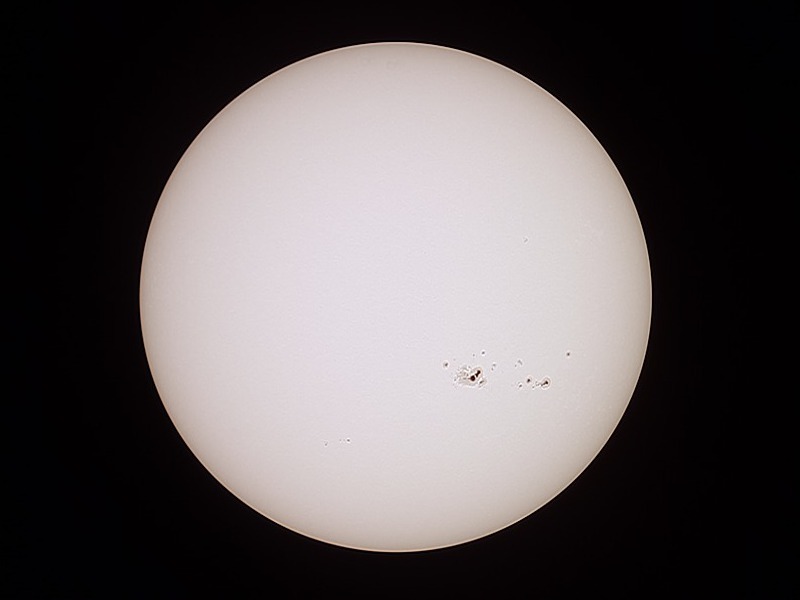 Our own Sun is a 'G2V'-type main-sequence star, which will live for approximately 10 billion years (about half of its current age). This diagram is generated by a Python app I wrote named 'SChronos', which in turn was an interactive app named 'MChronos' I originally wrote for a Nokia N800 tablet. 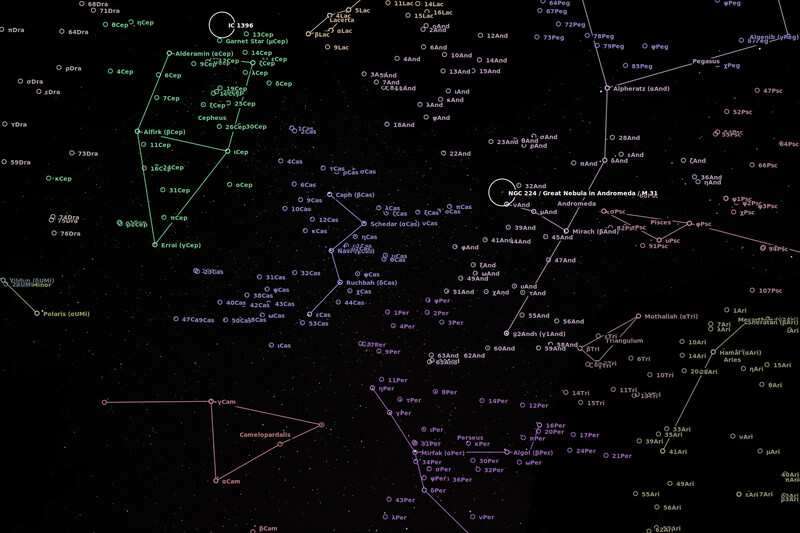 These diagrams are generated by a Python app I wrote named 'SOrrery', which in turn was an interactive app named 'MOrrery' I originally wrote for a Nokia N800 tablet.